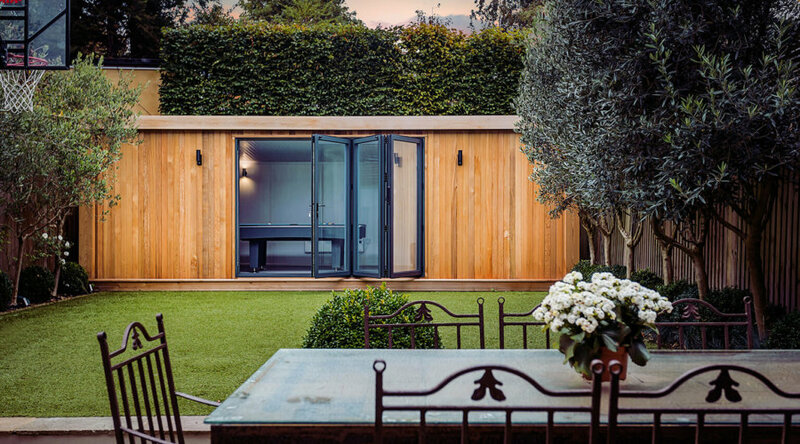 Green Retreats quite often revisit garden rooms that have been constructed. 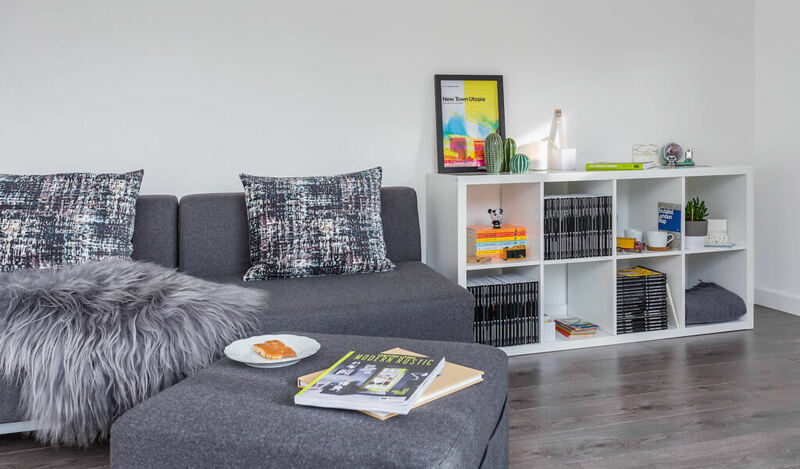 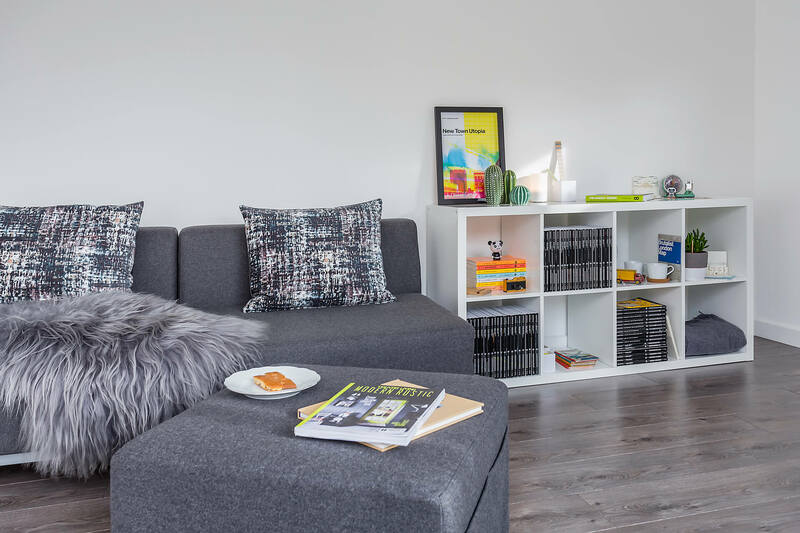 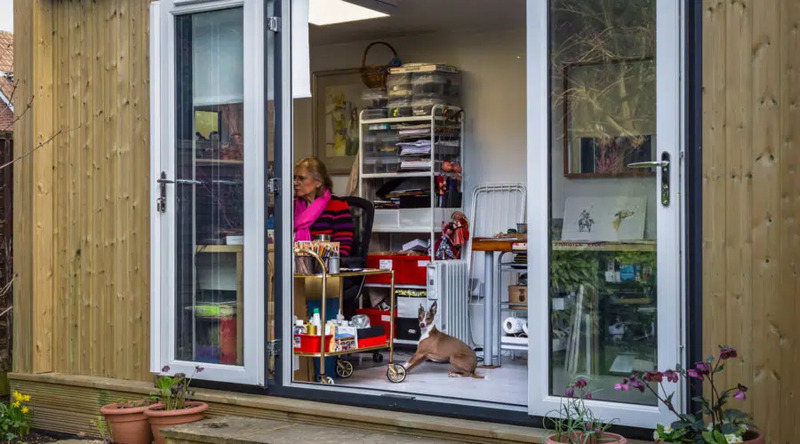 We do this to take photographs and document how our customers are enjoying their new space. 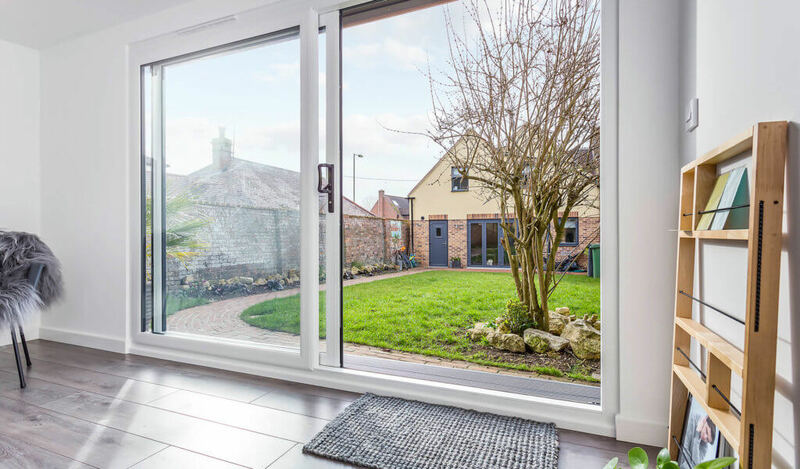 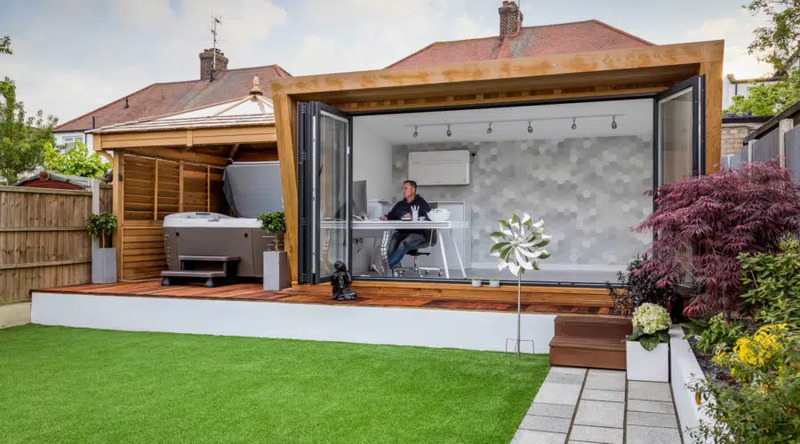 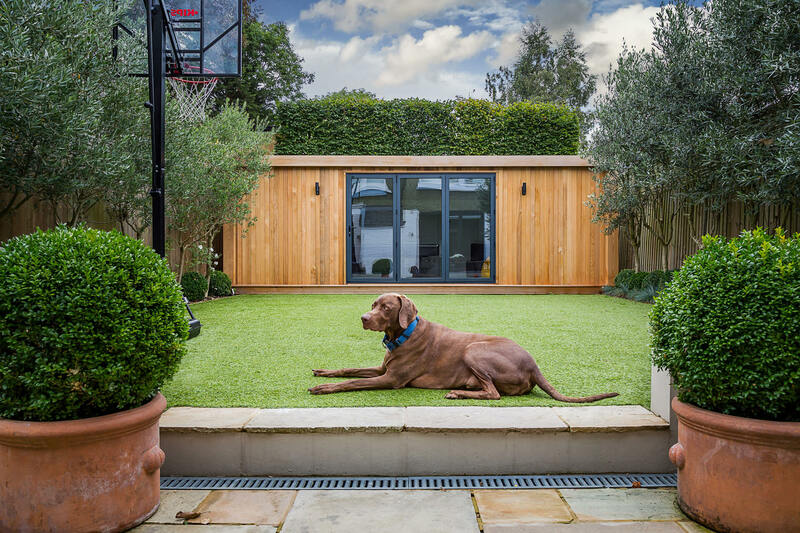 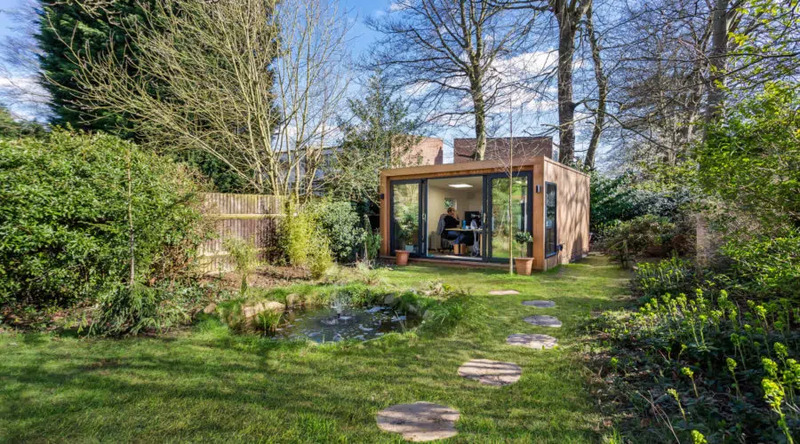 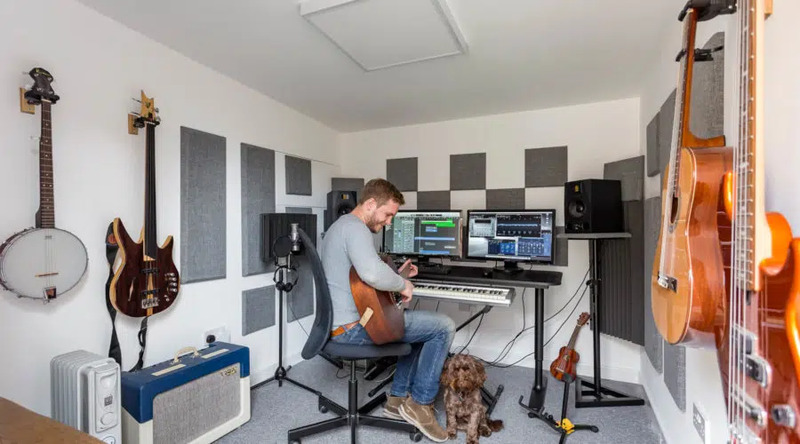 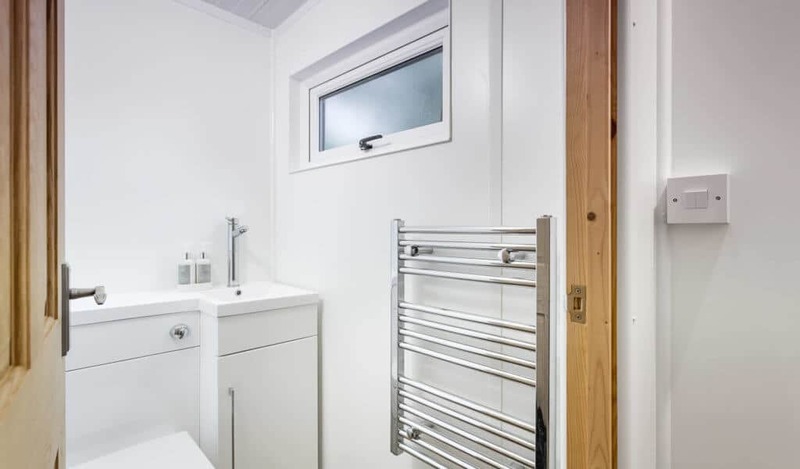 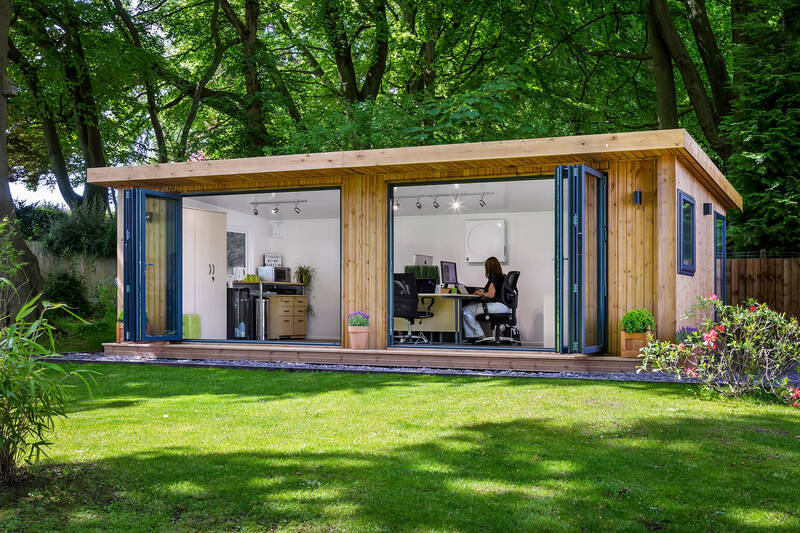 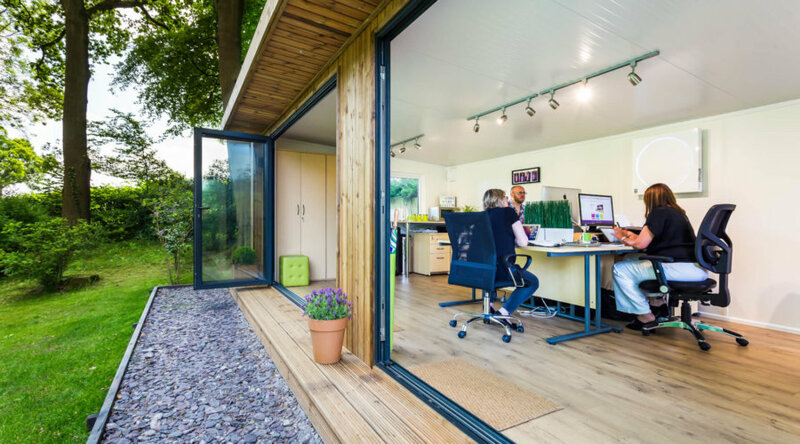 These garden room case studies often contain create videos about the projects to help future customers make the right choice when choosing the best garden room company for their project and what style would suit them and their garden space. 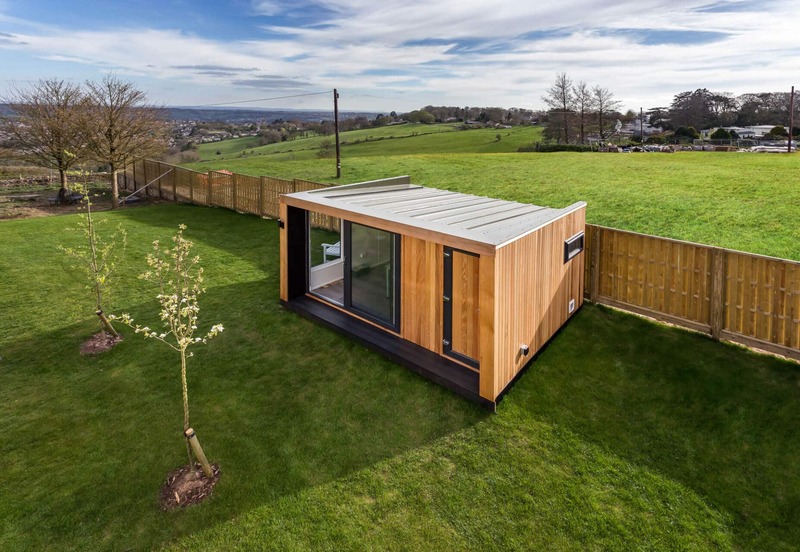 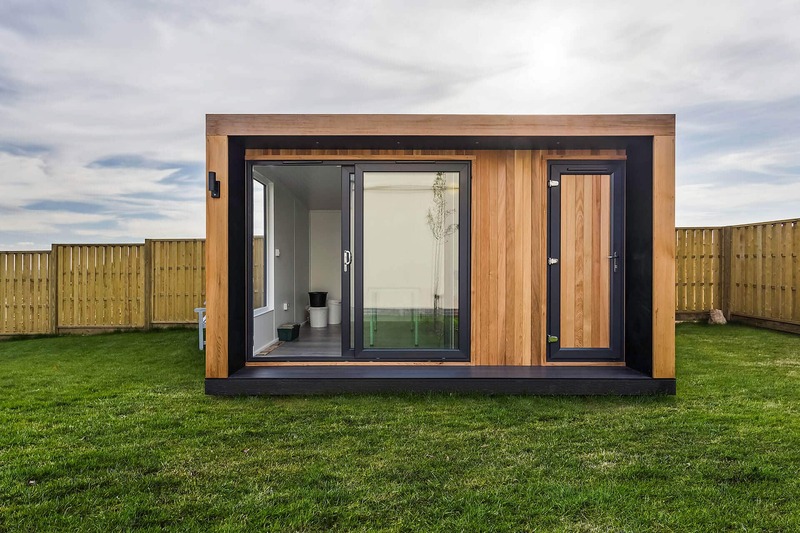 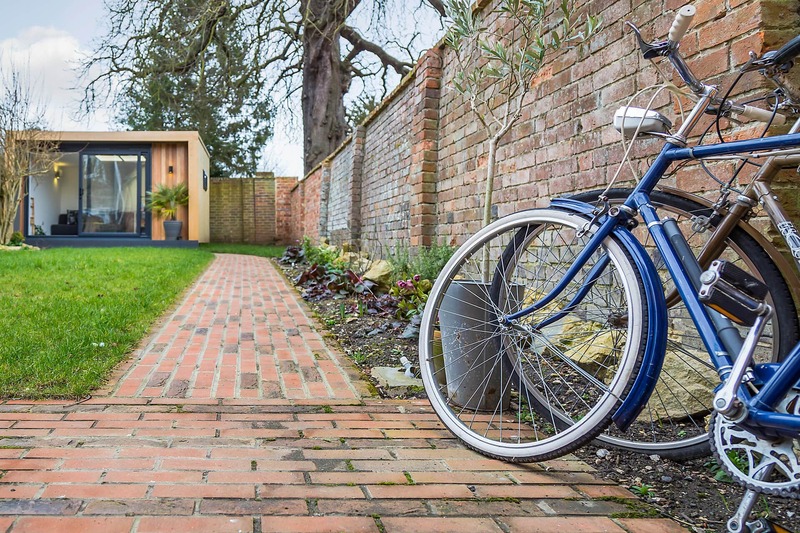 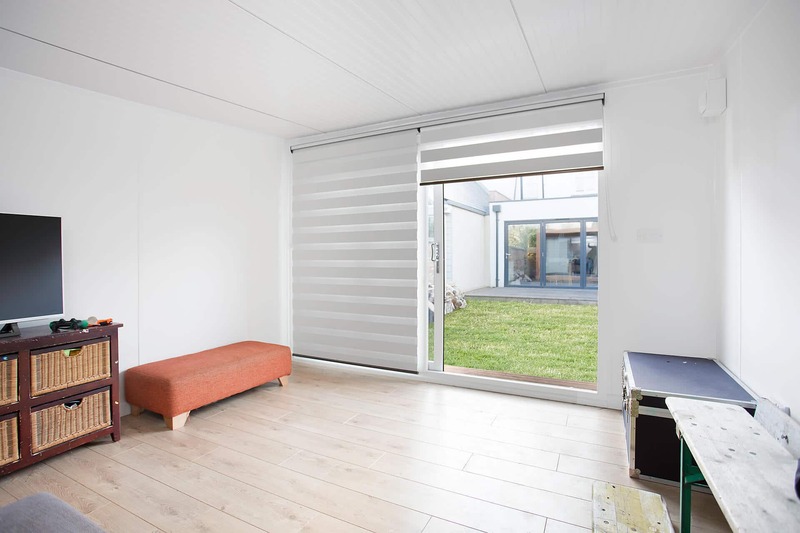 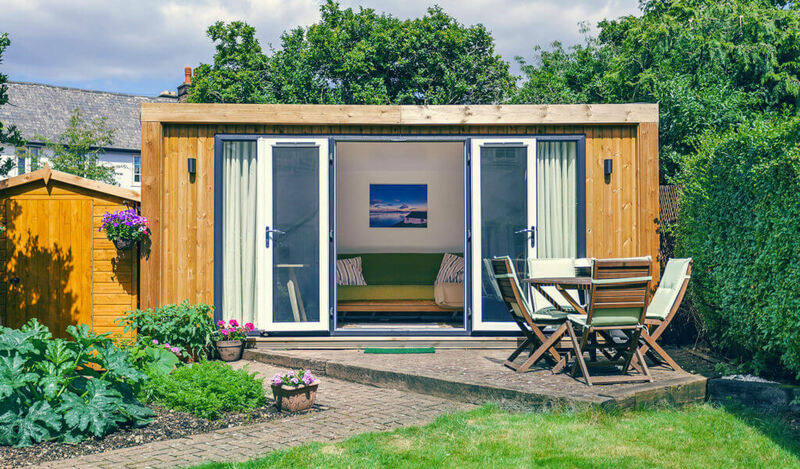 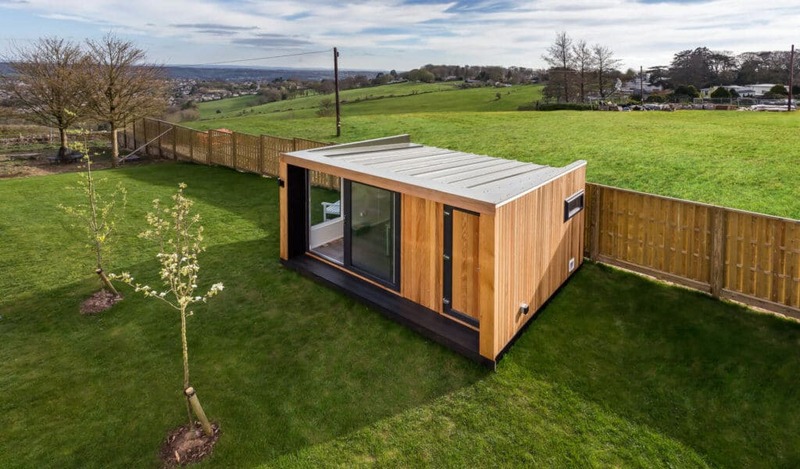 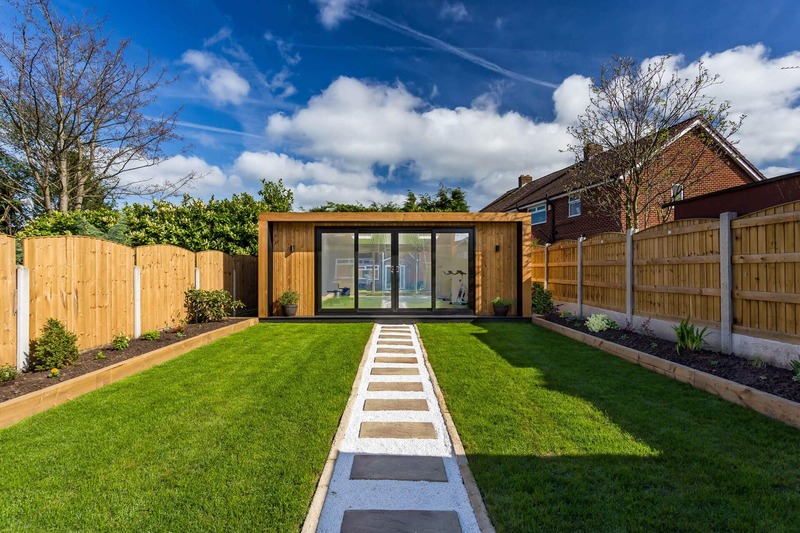 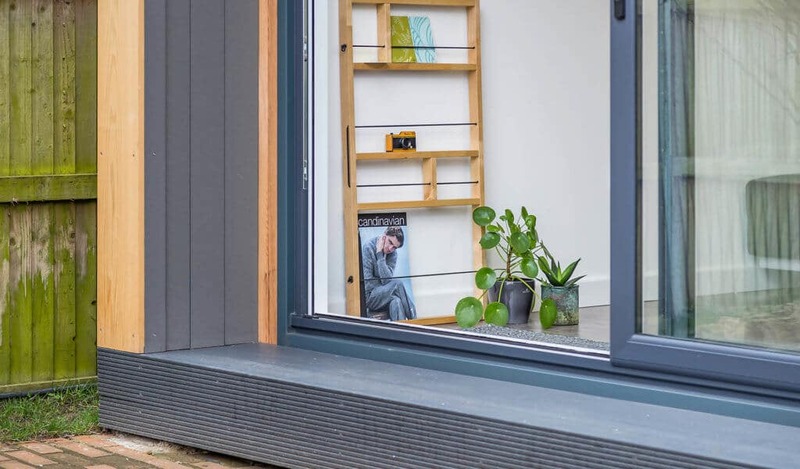 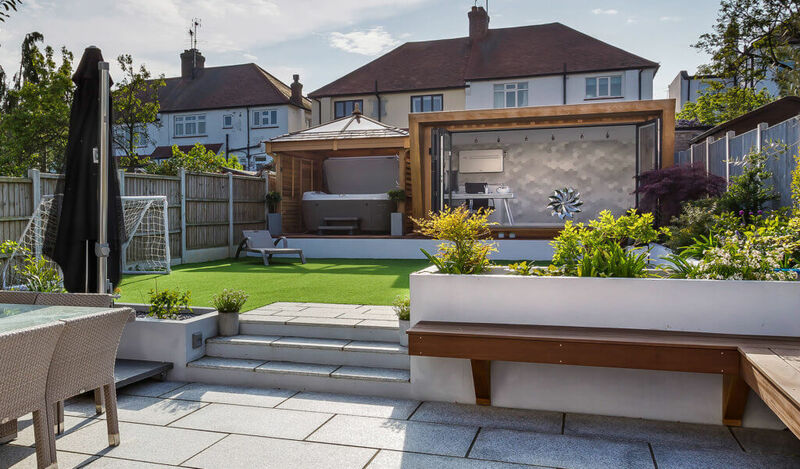 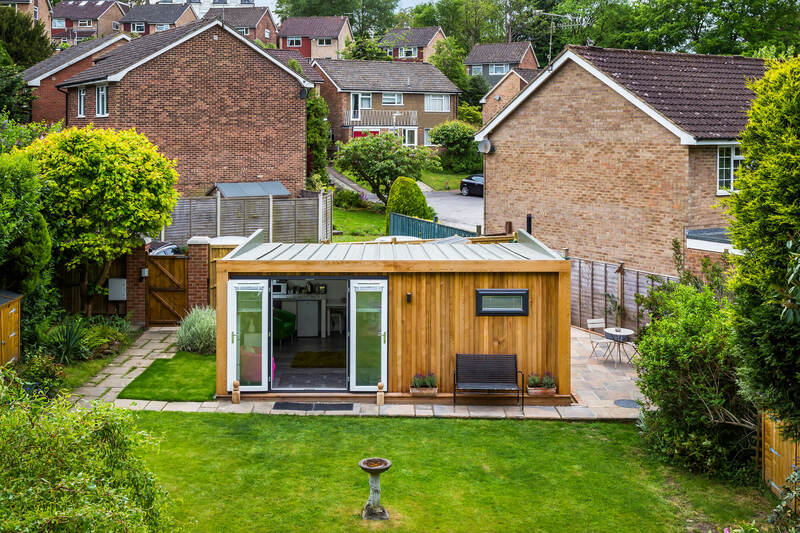 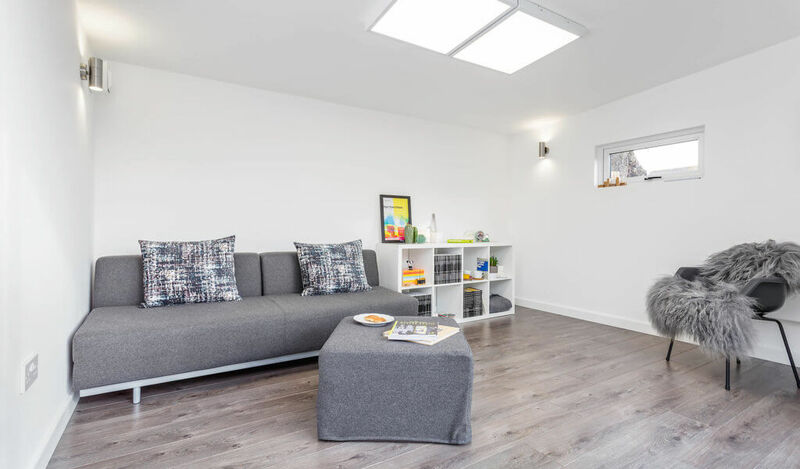 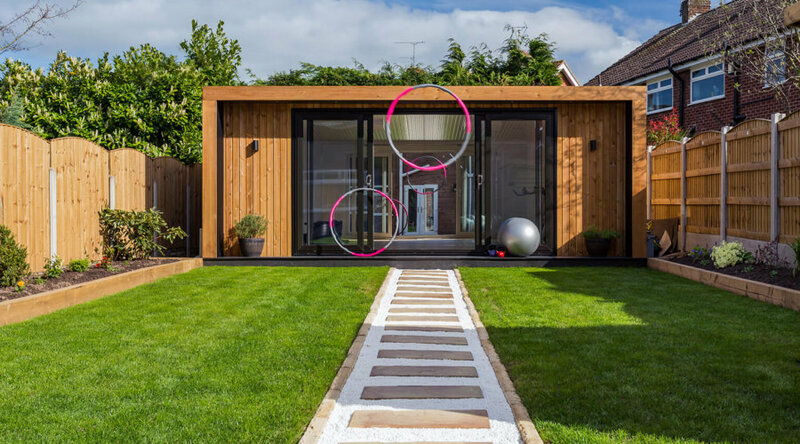 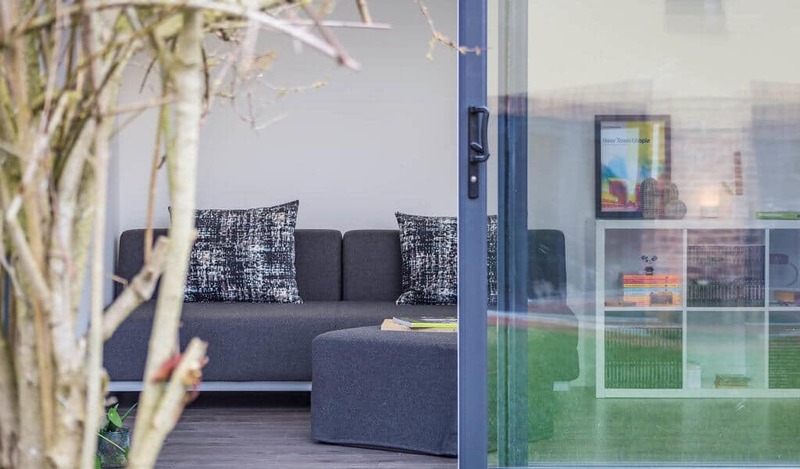 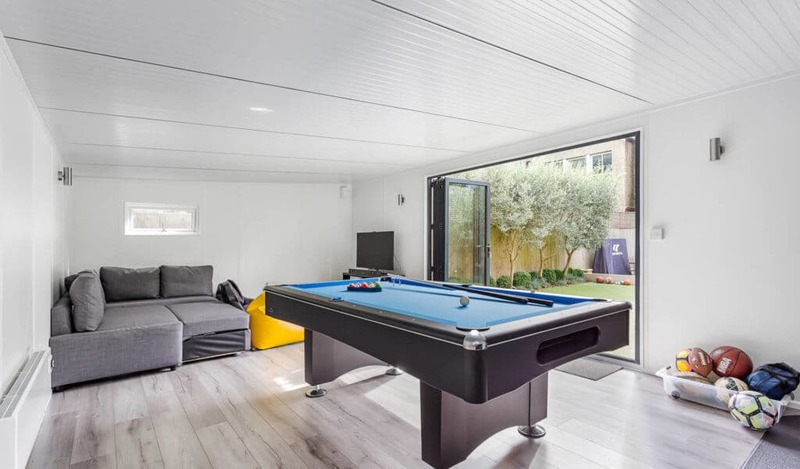 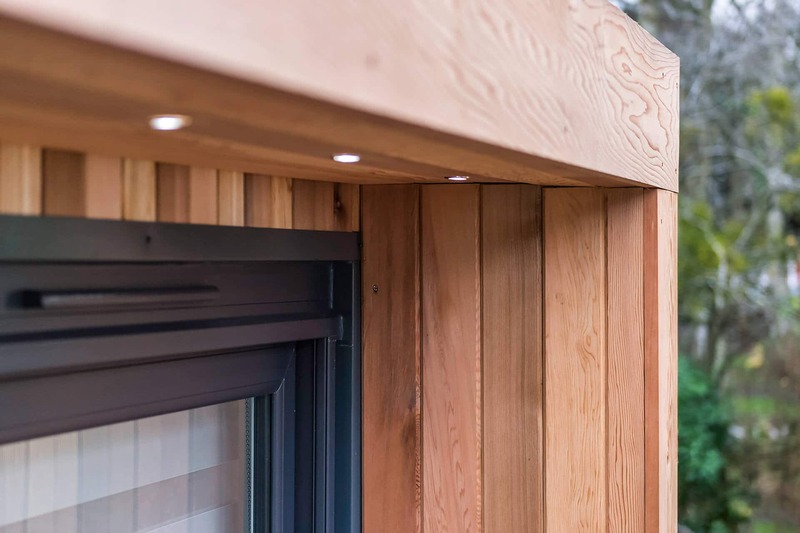 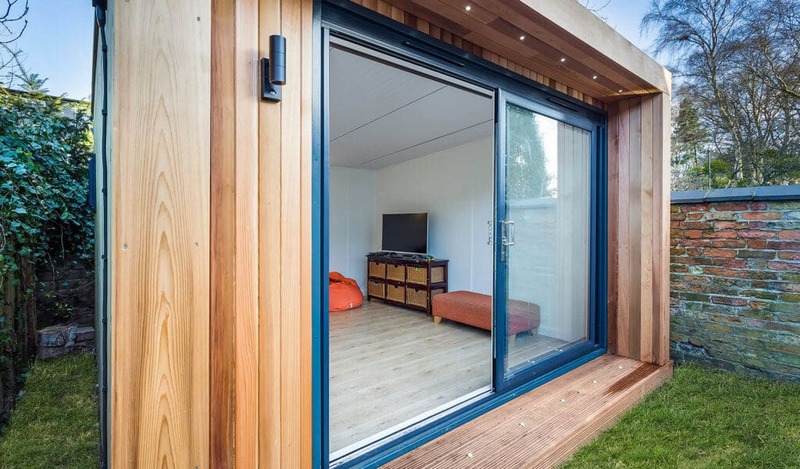 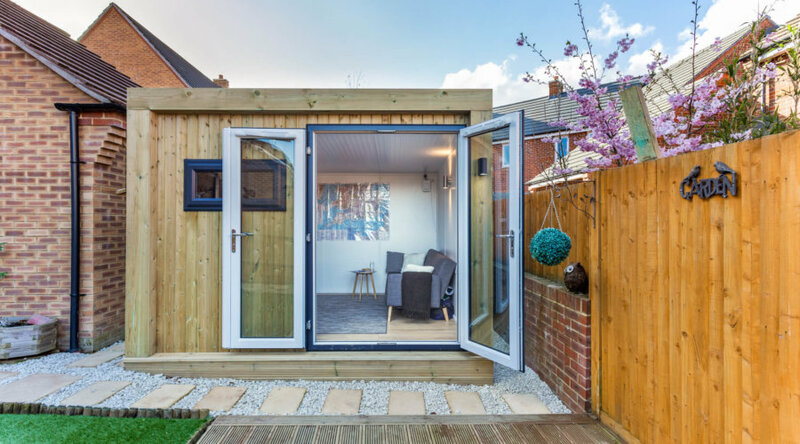 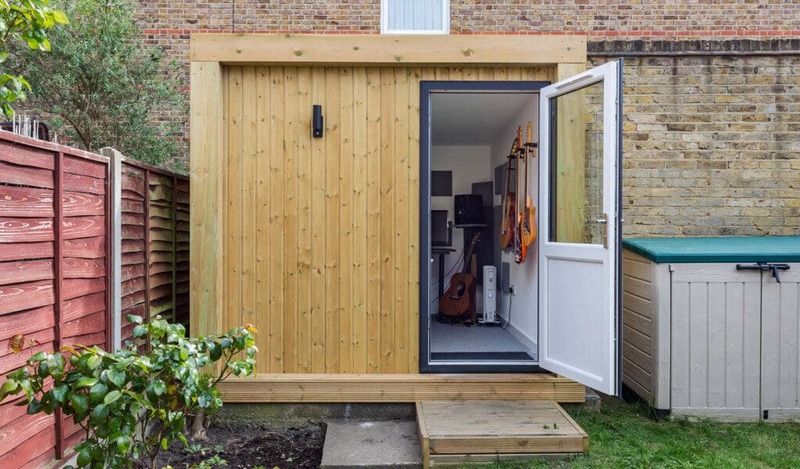 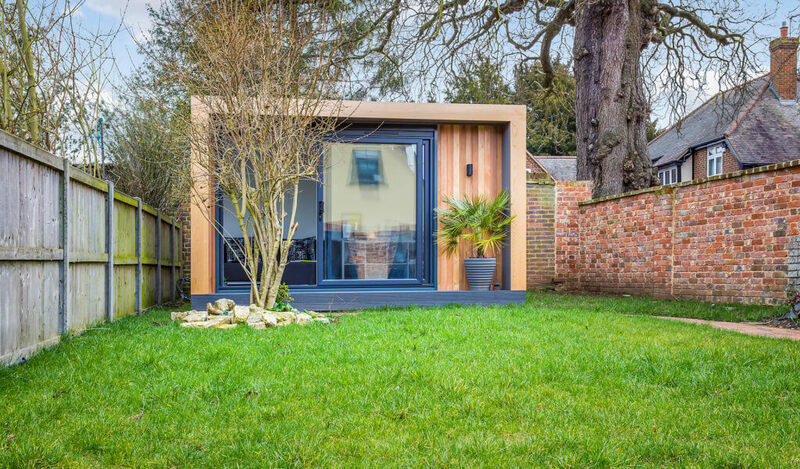 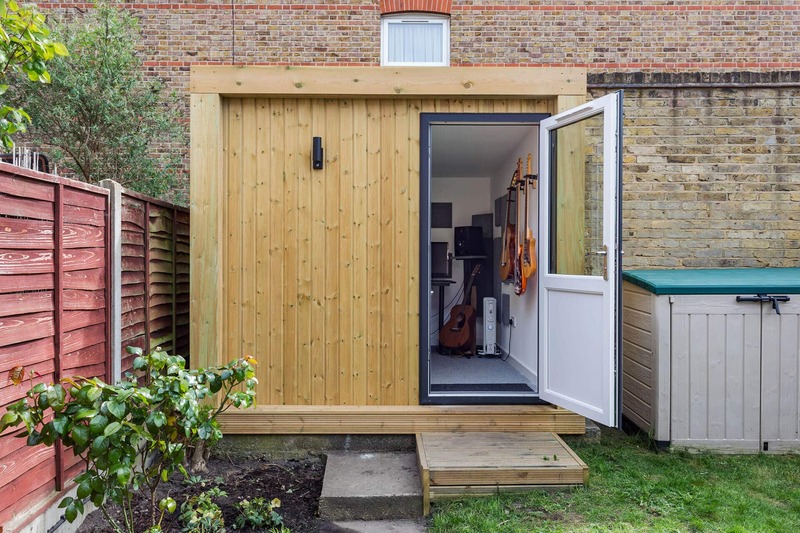 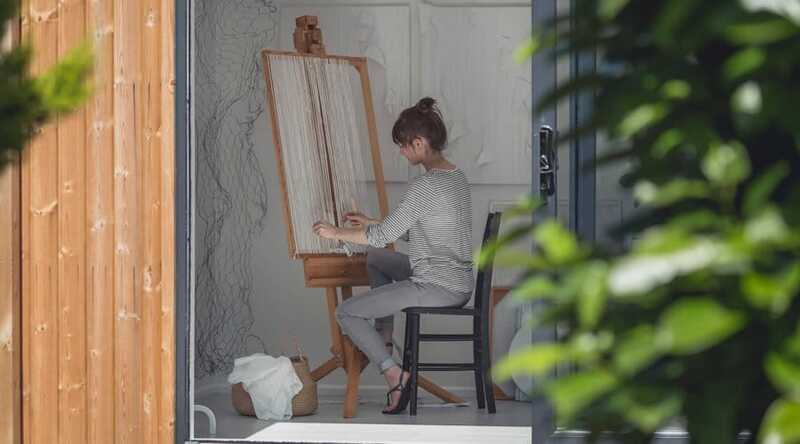 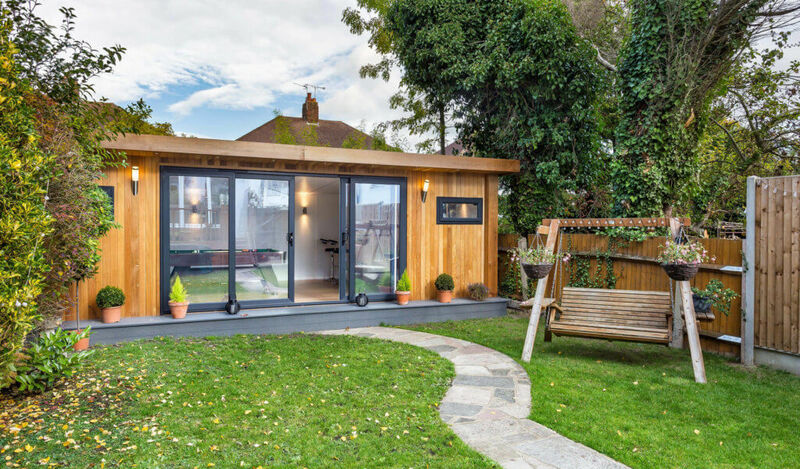 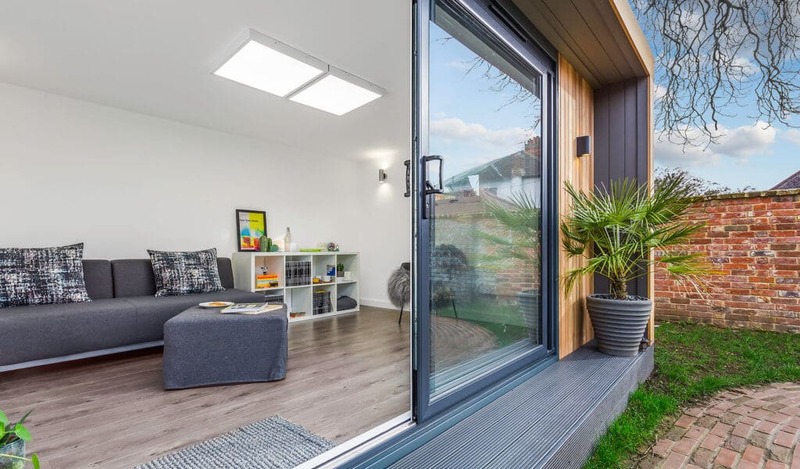 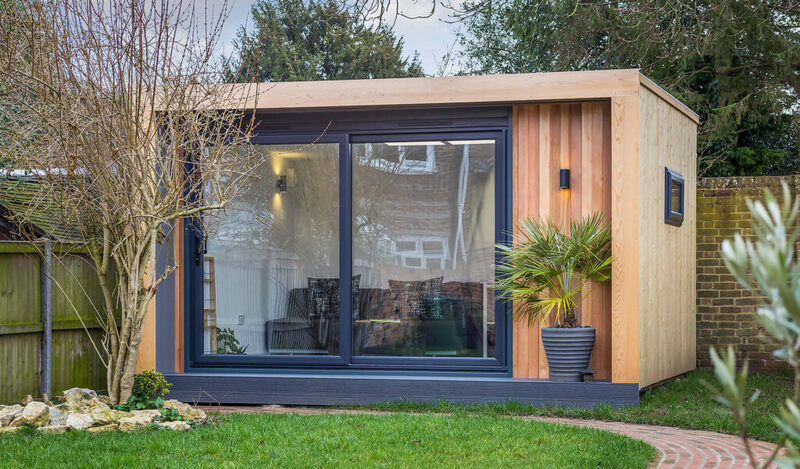 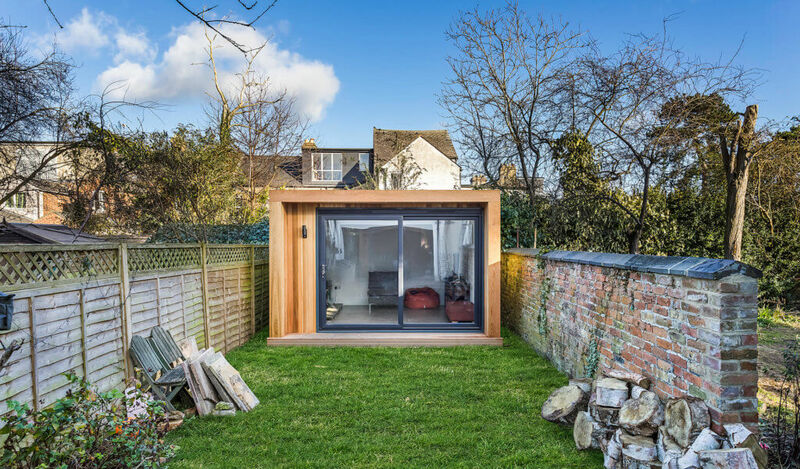 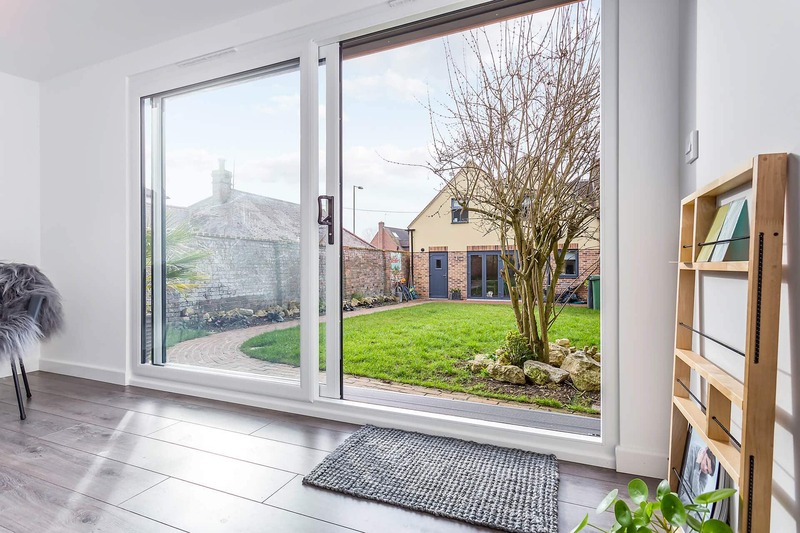 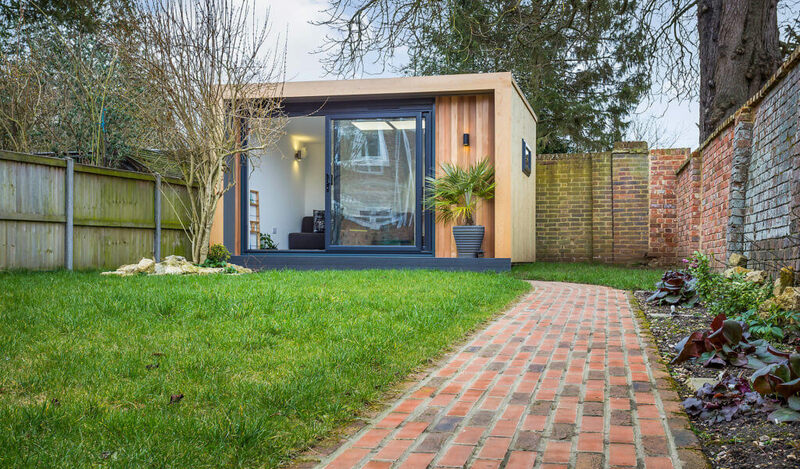 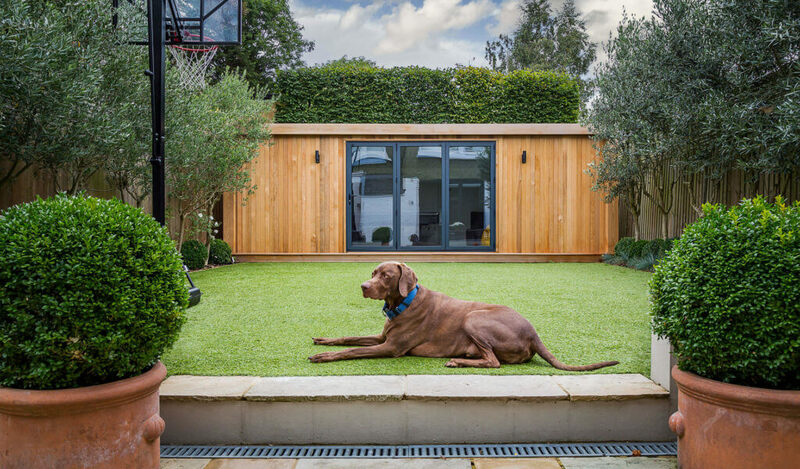 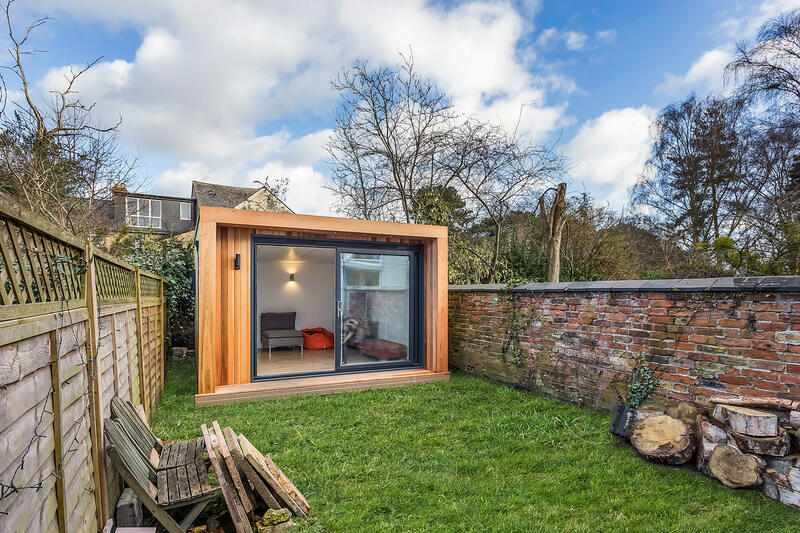 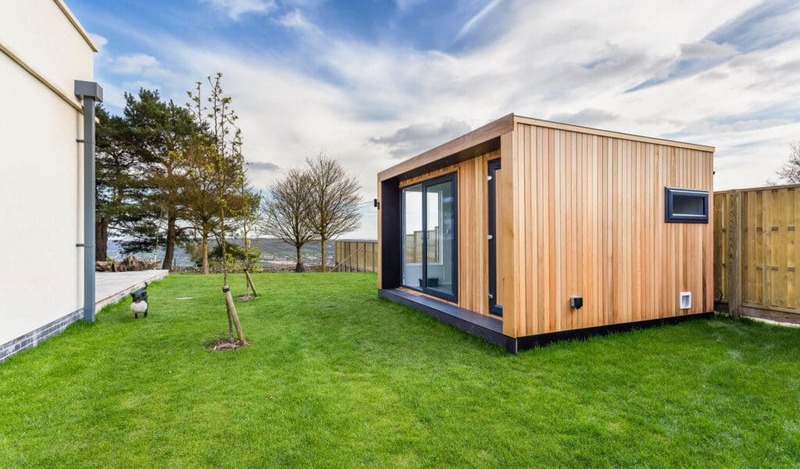 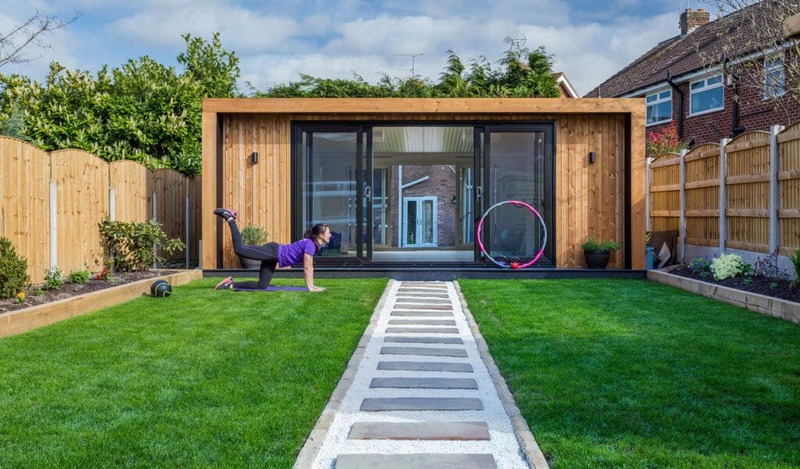 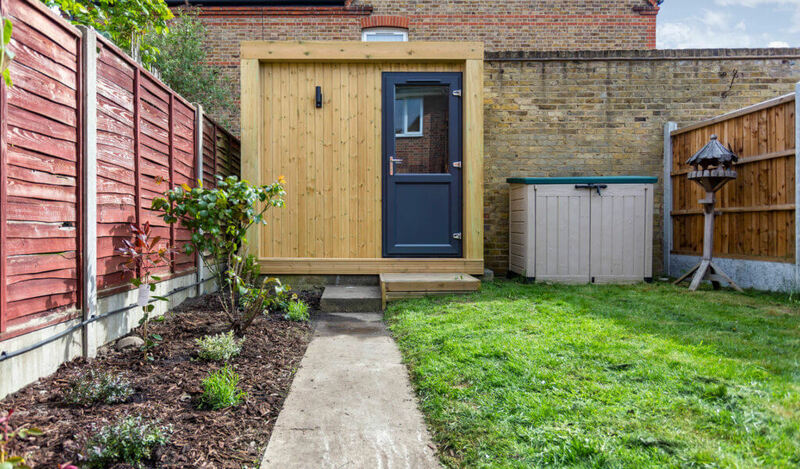 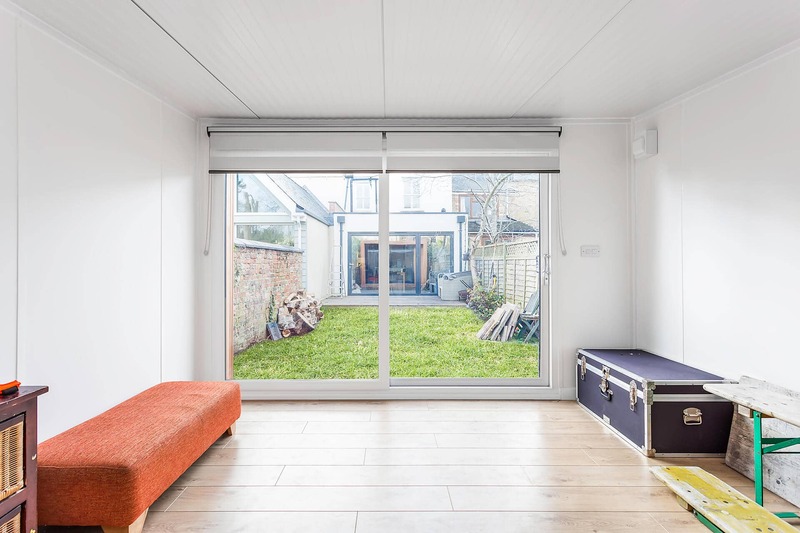 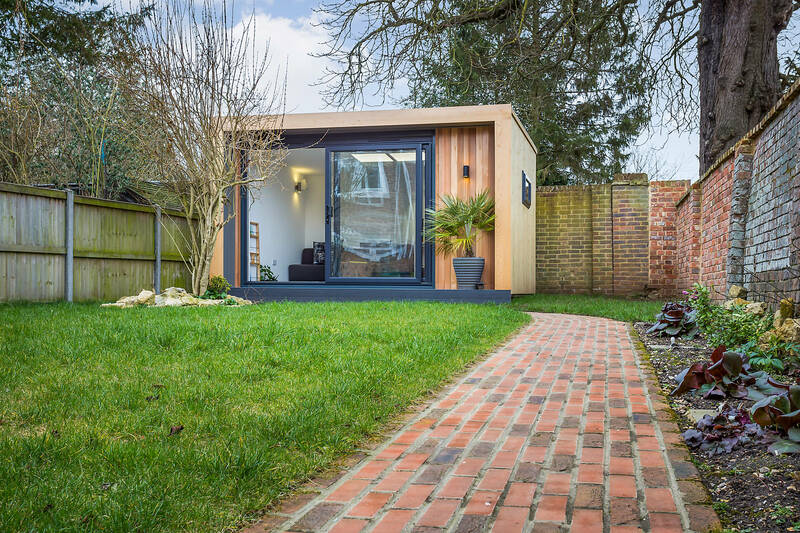 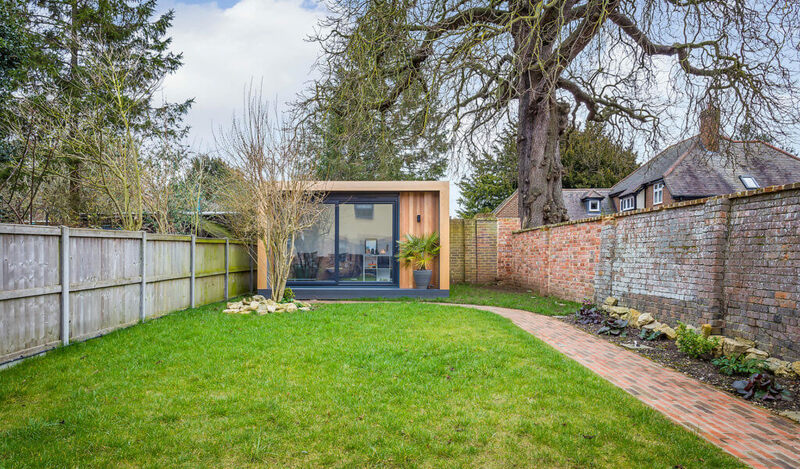 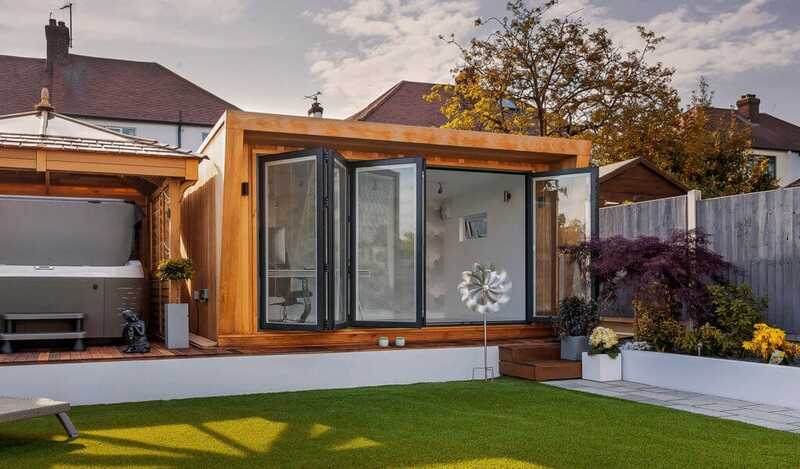 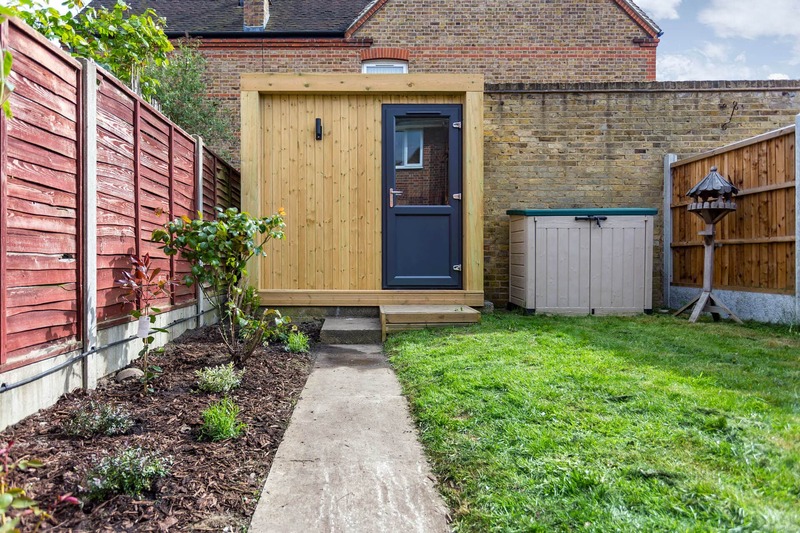 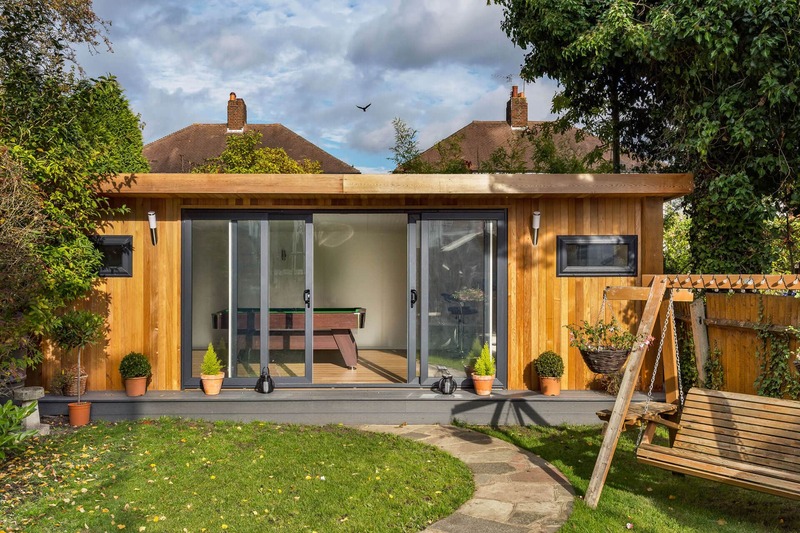 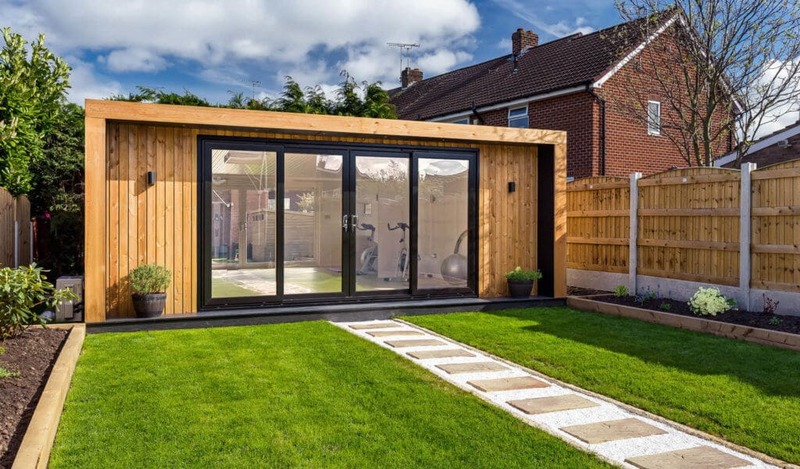 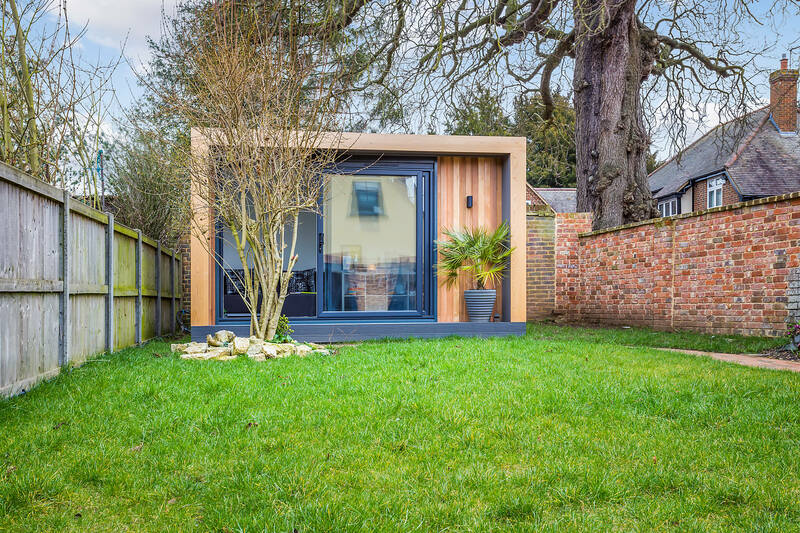 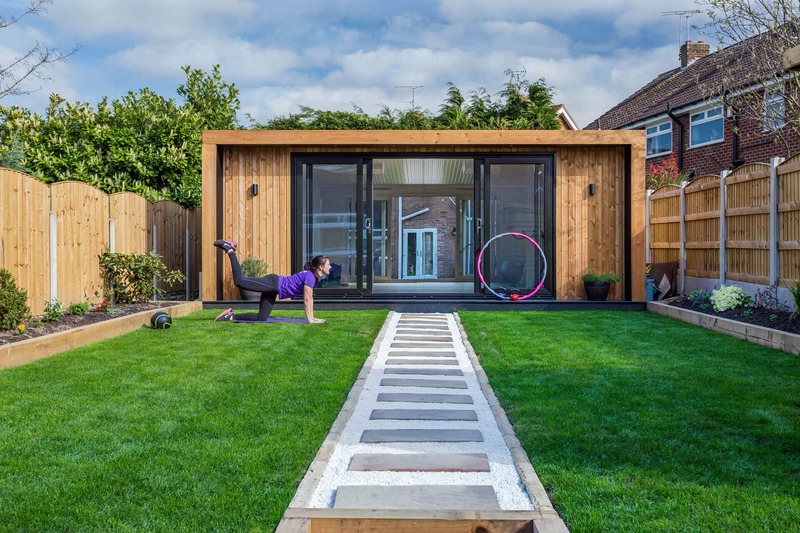 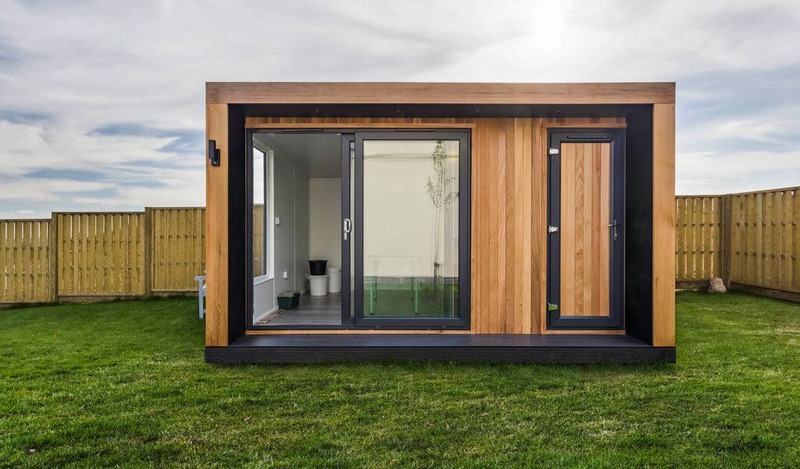 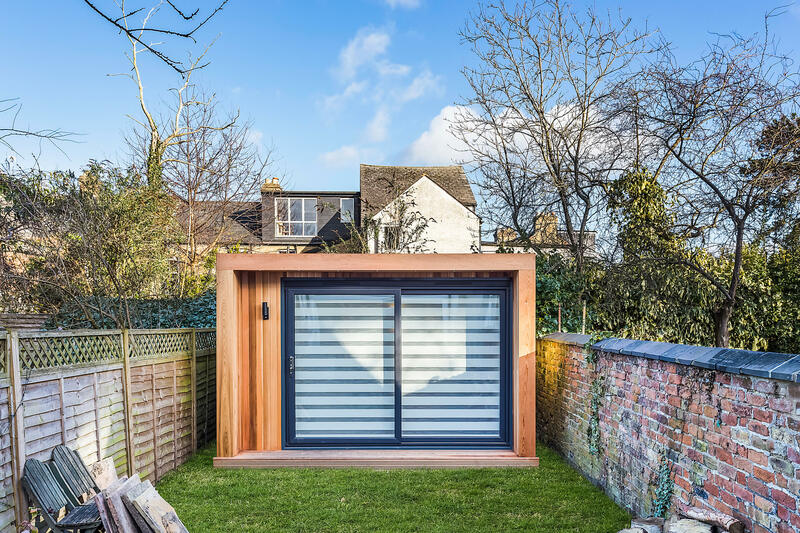 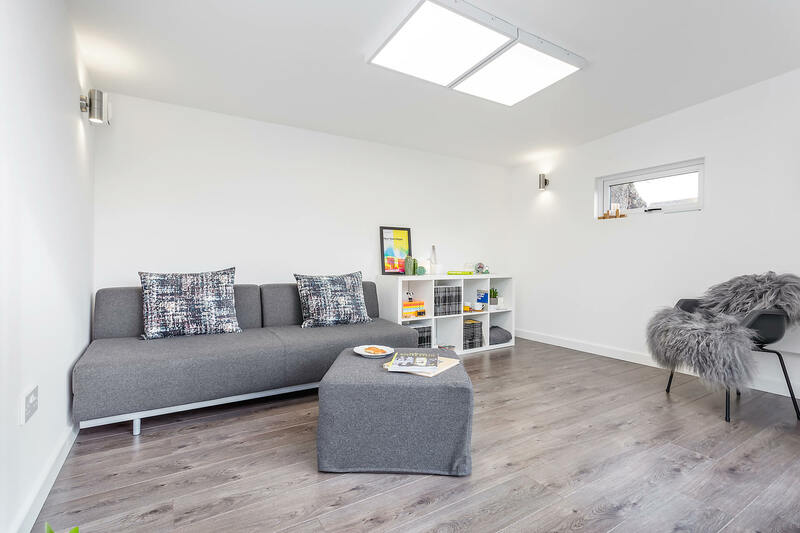 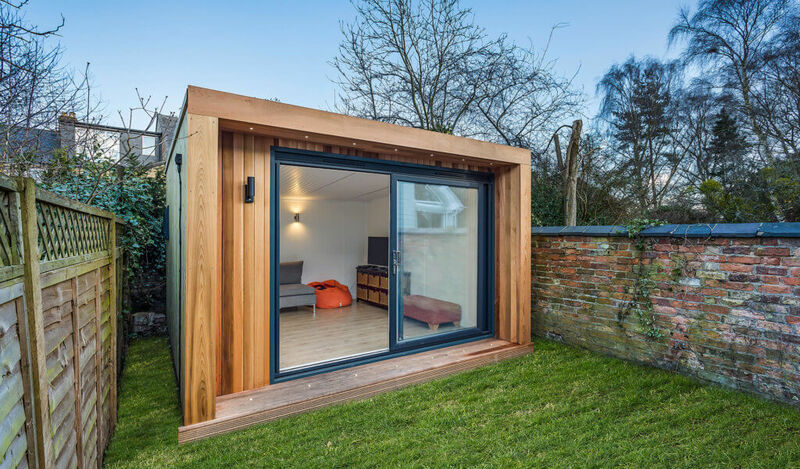 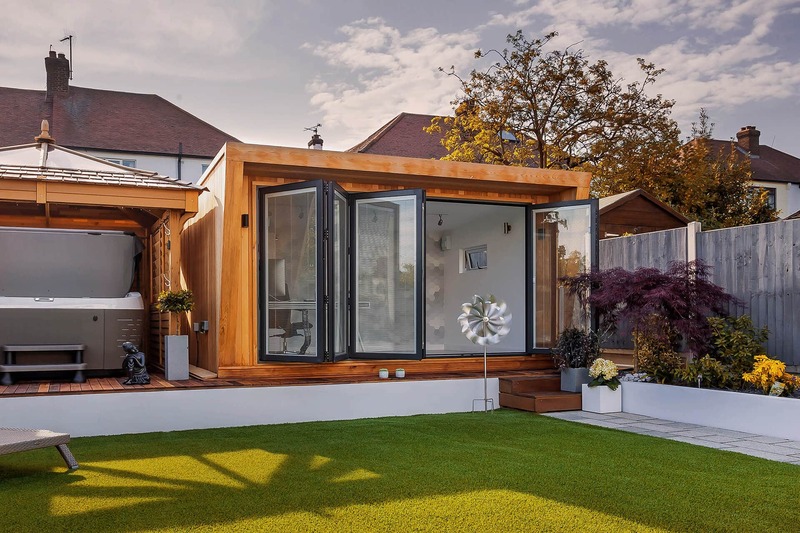 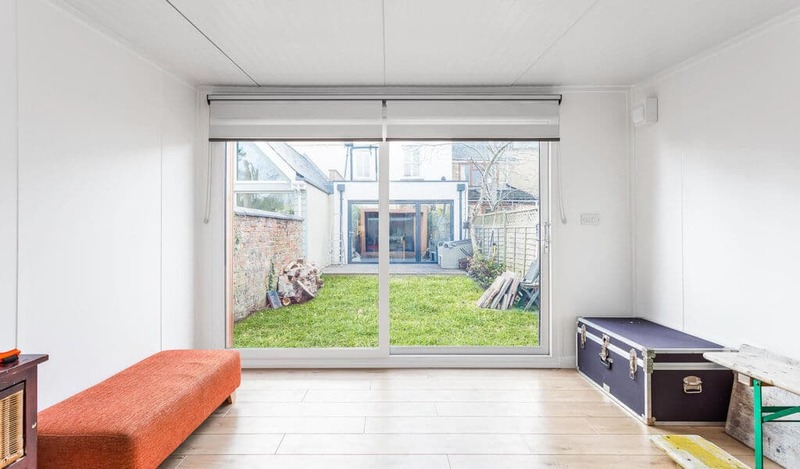 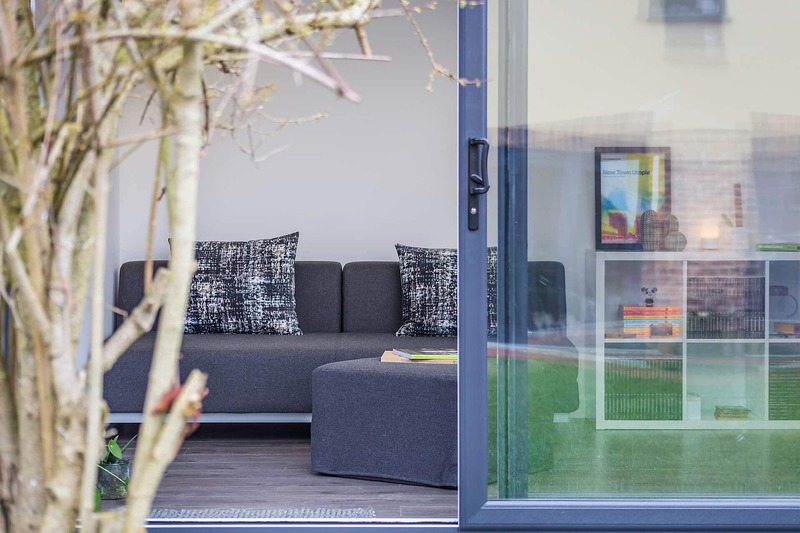 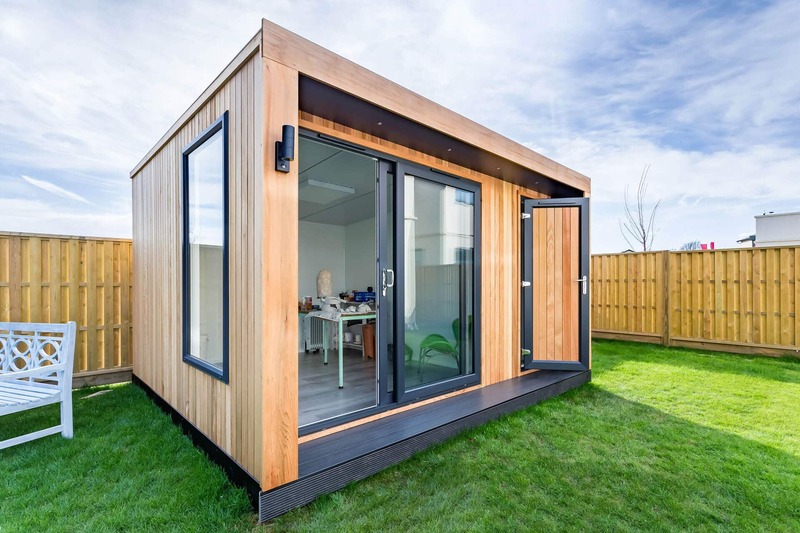 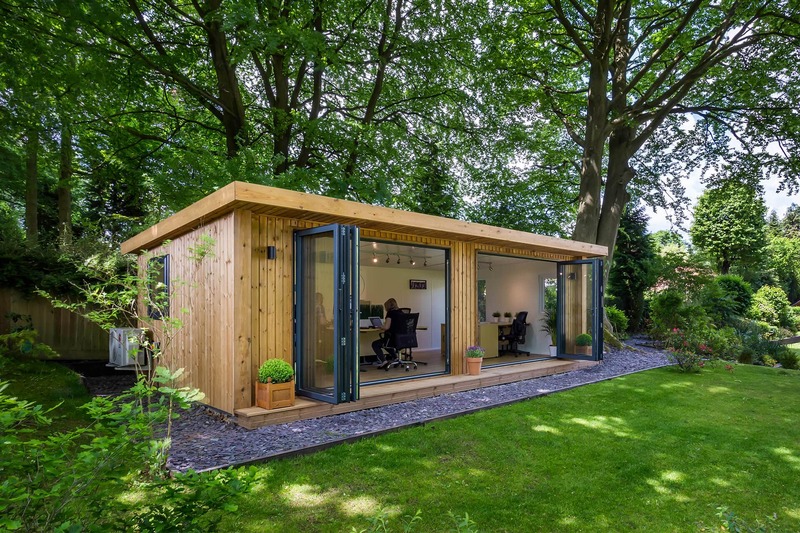 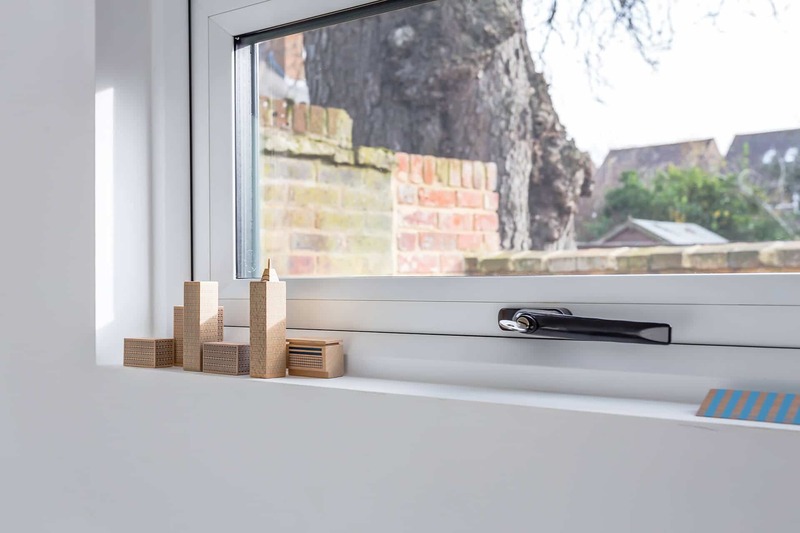 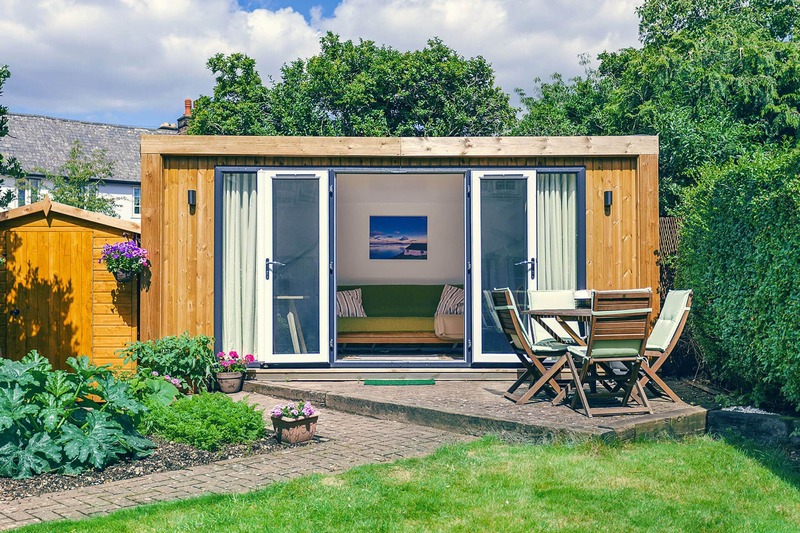 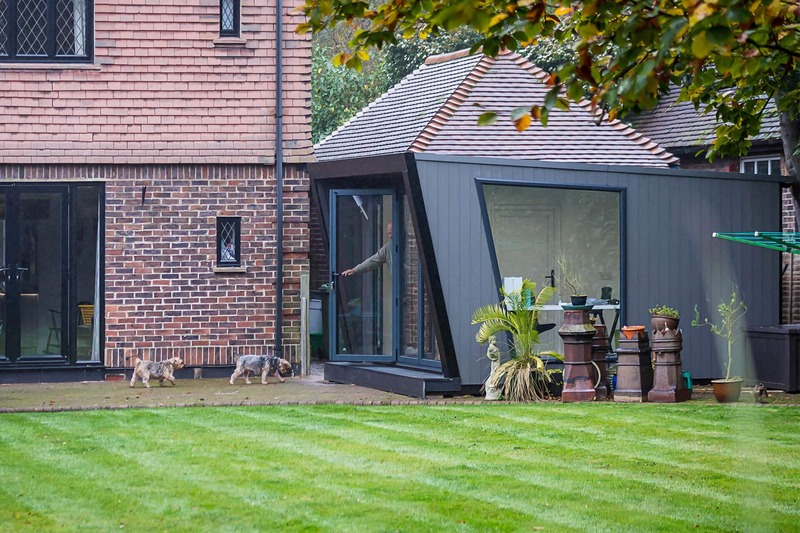 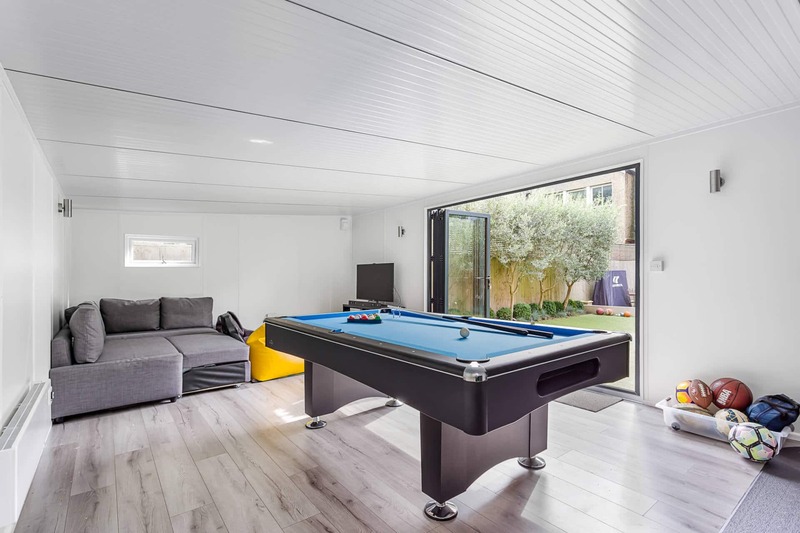 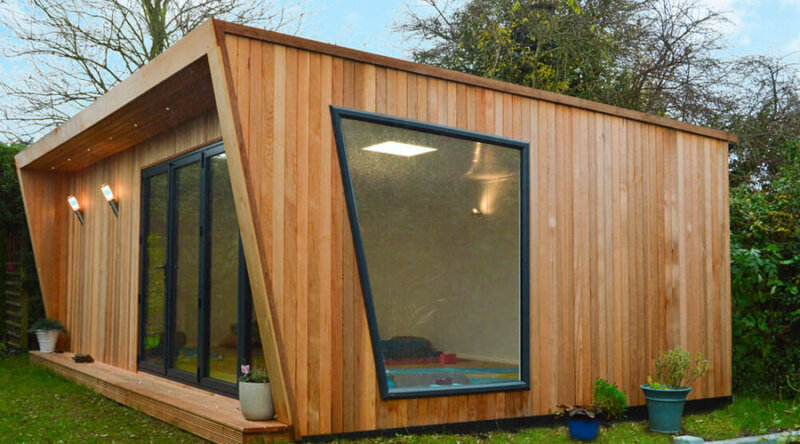 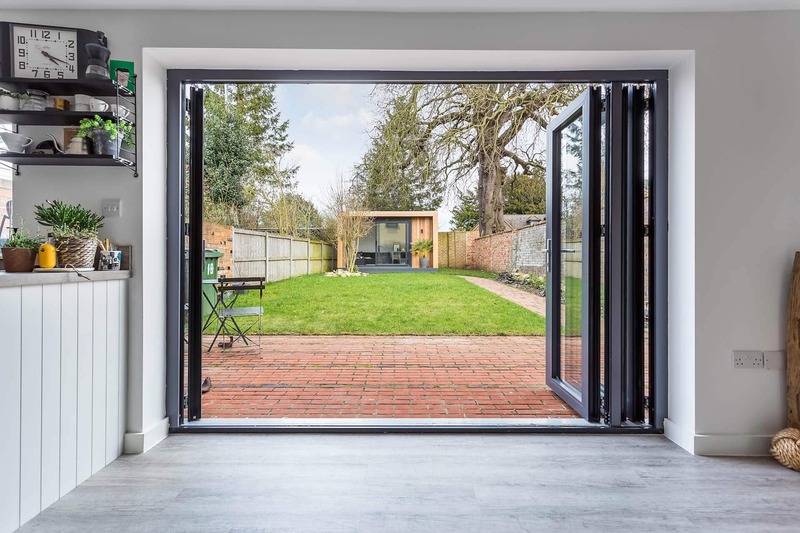 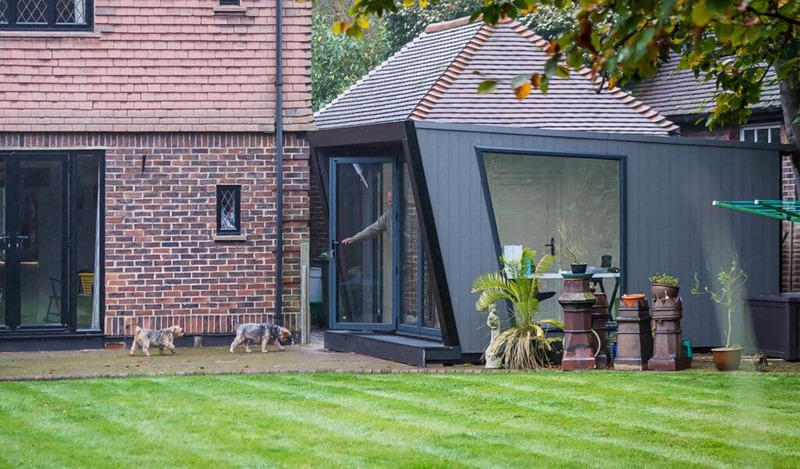 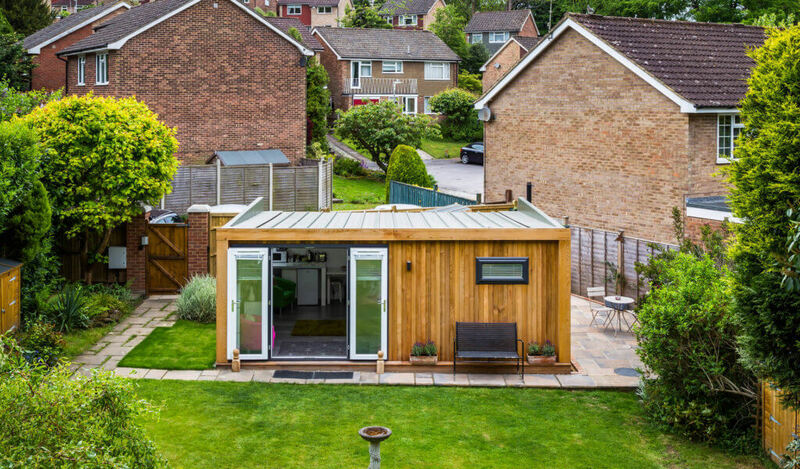 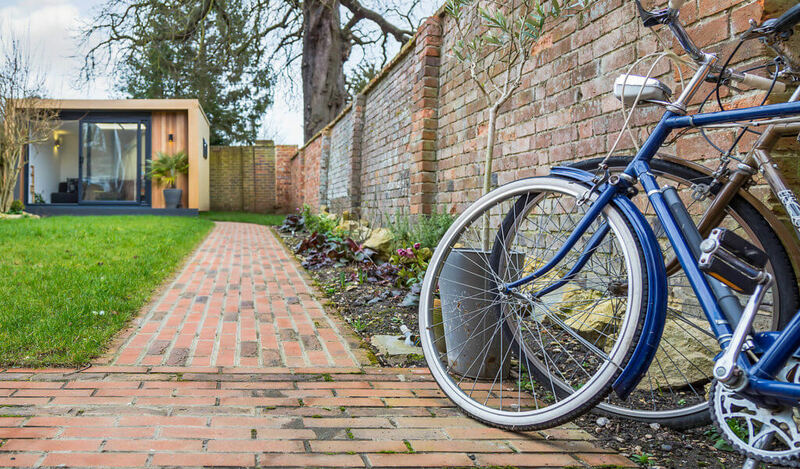 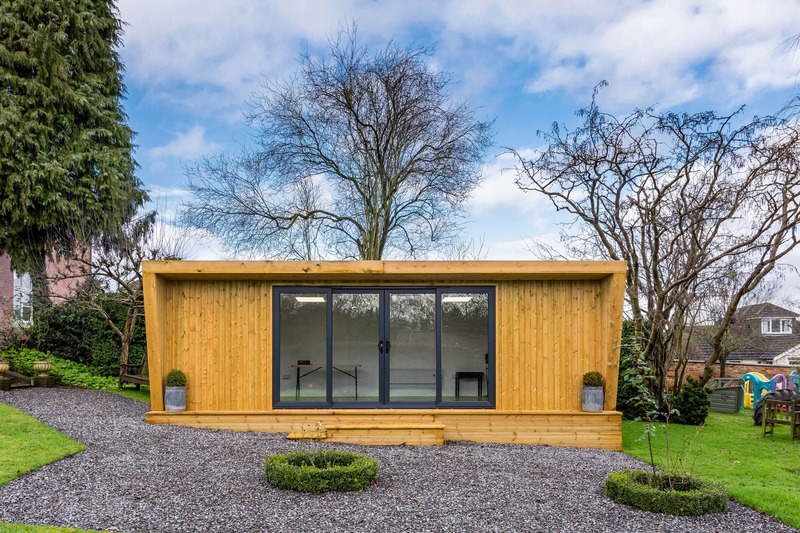 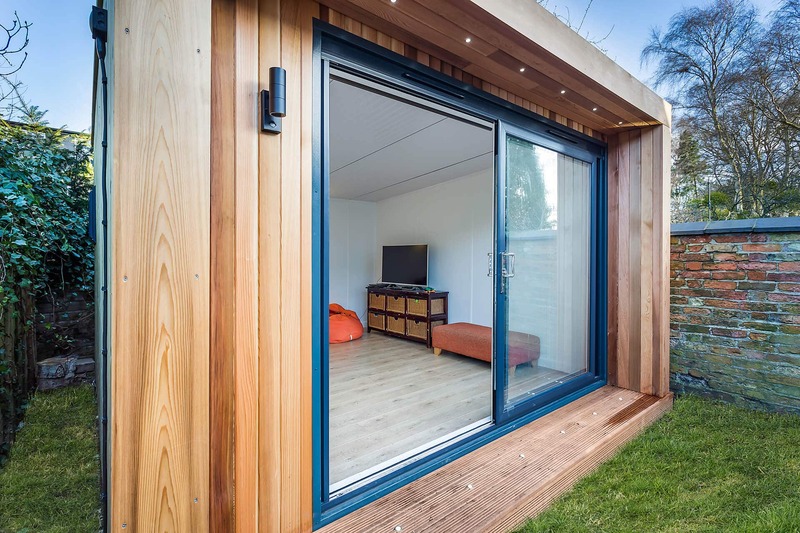 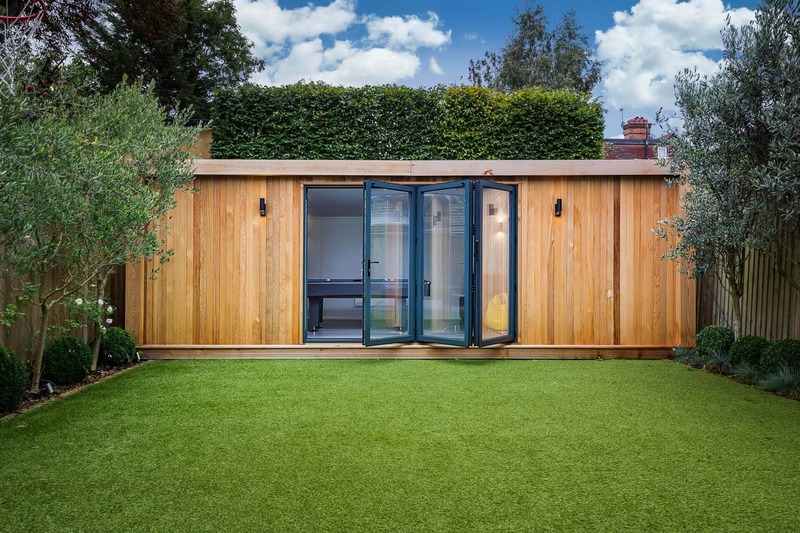 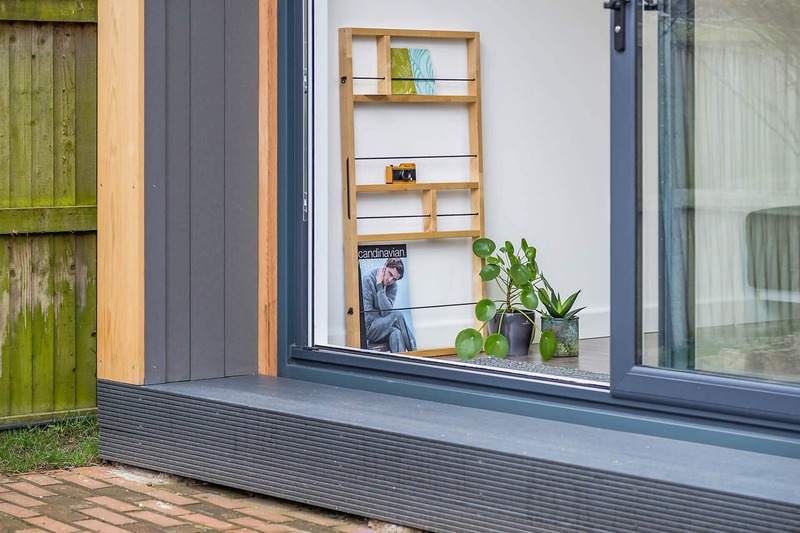 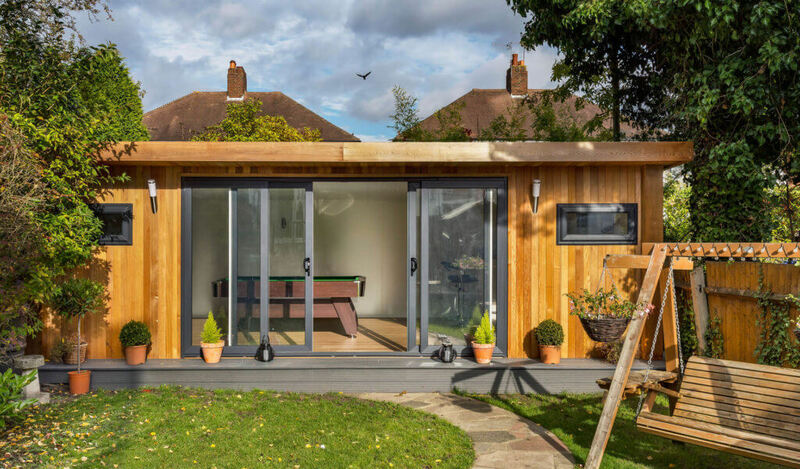 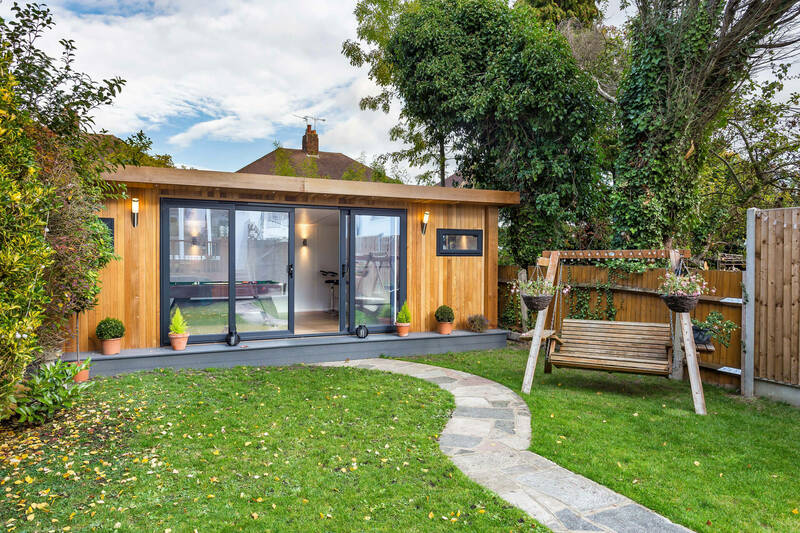 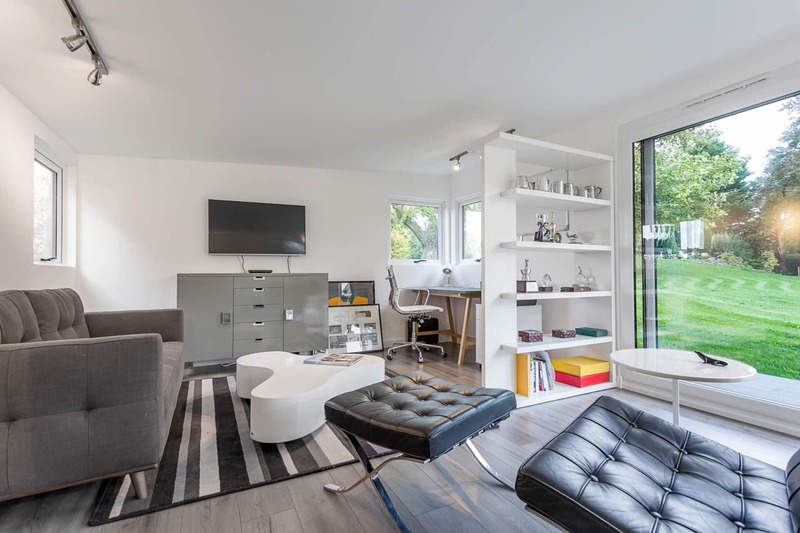 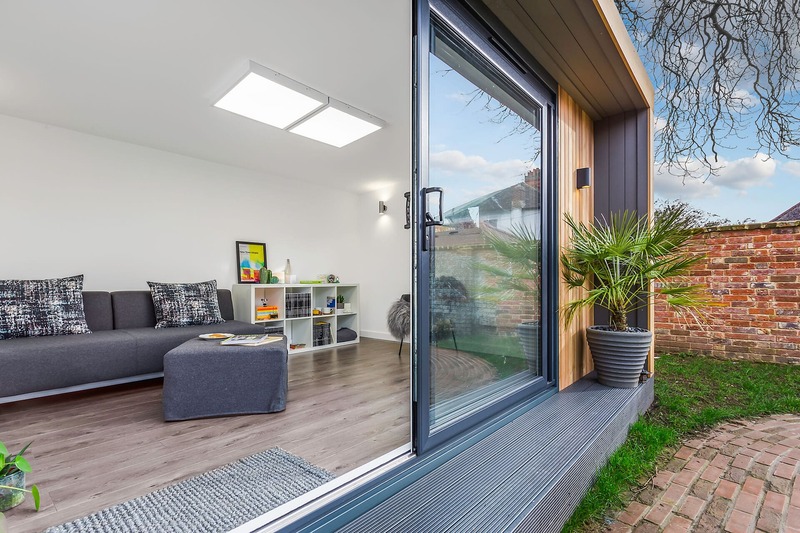 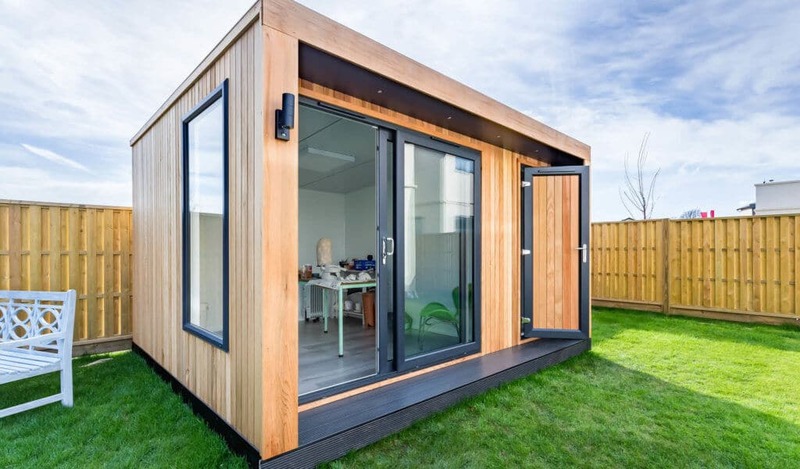 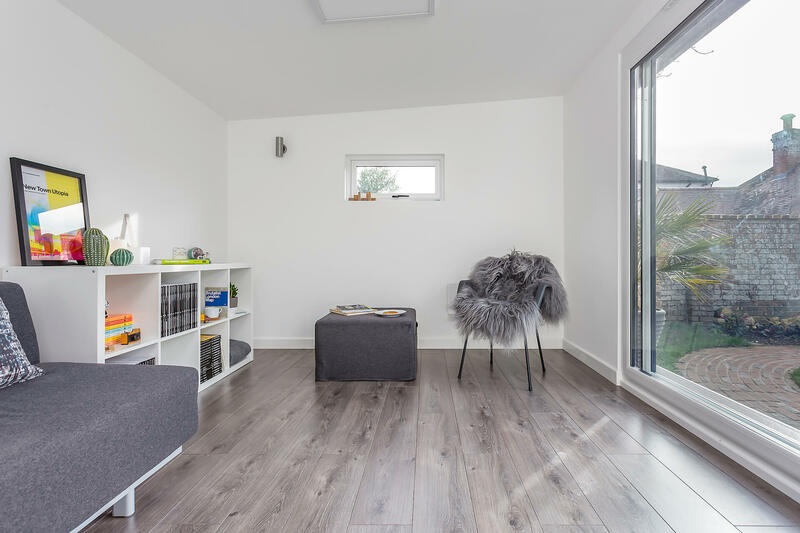 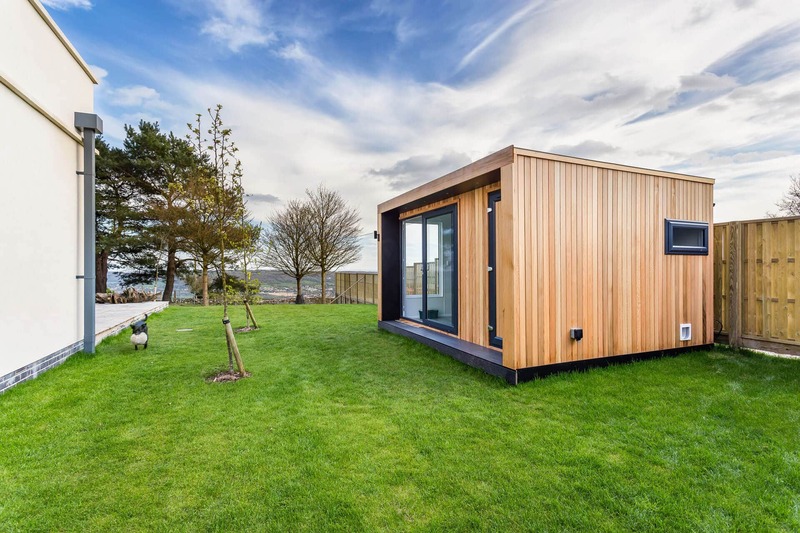 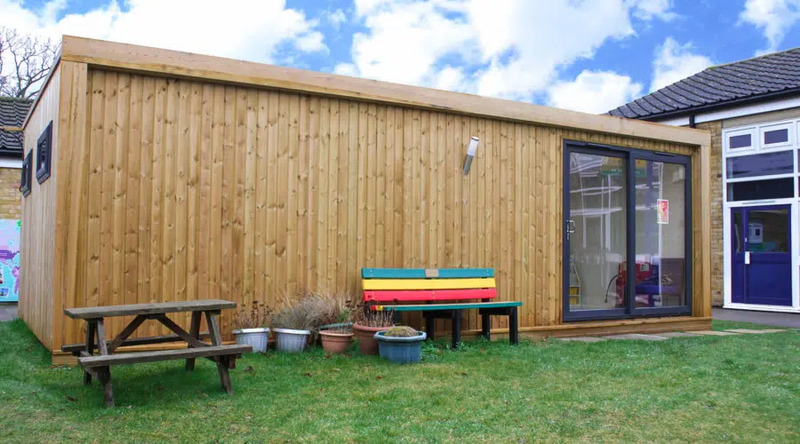 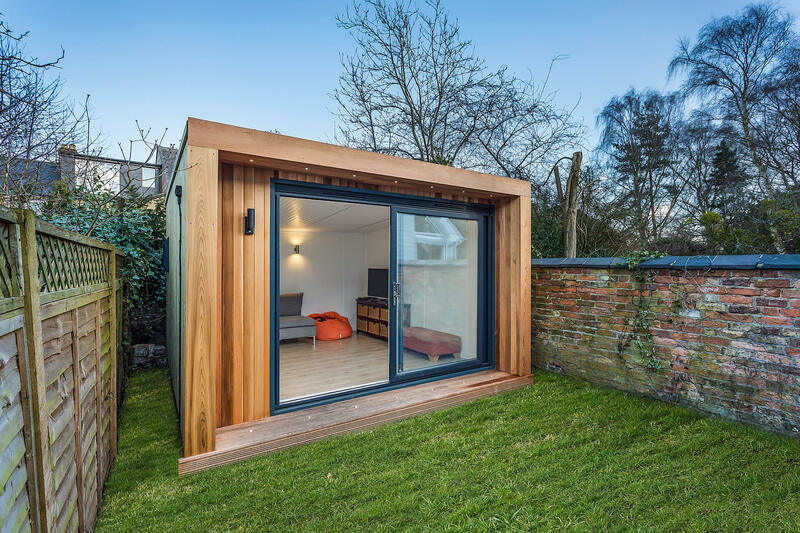 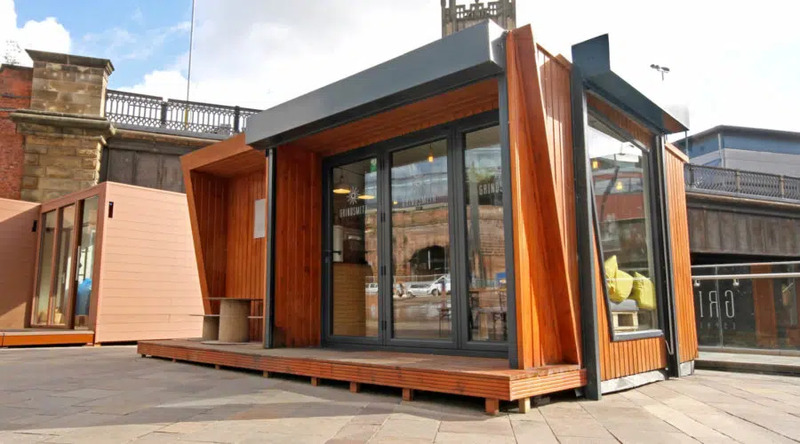 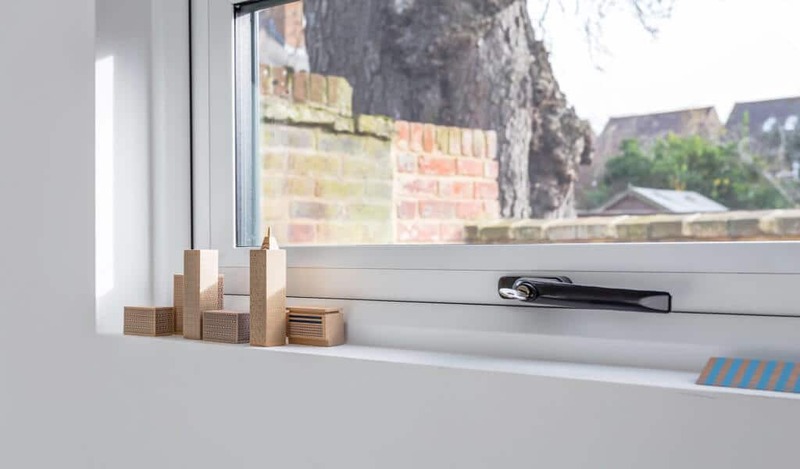 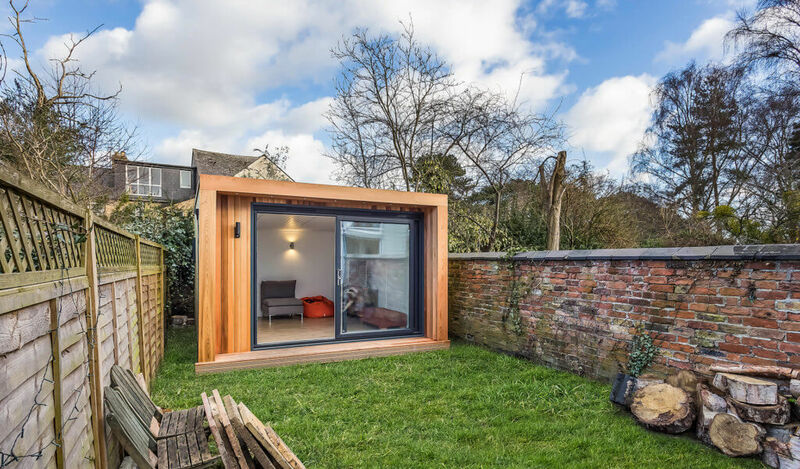 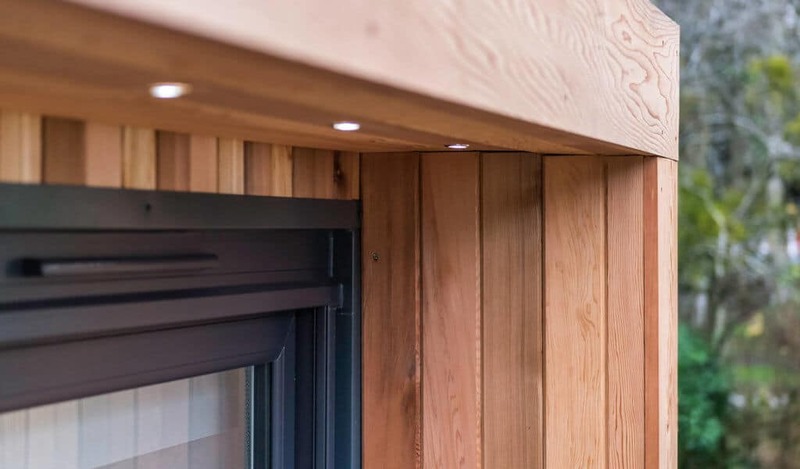 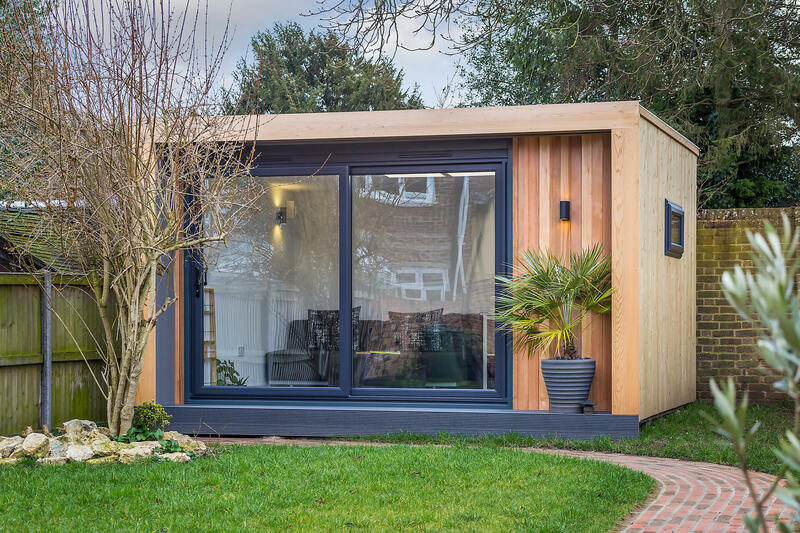 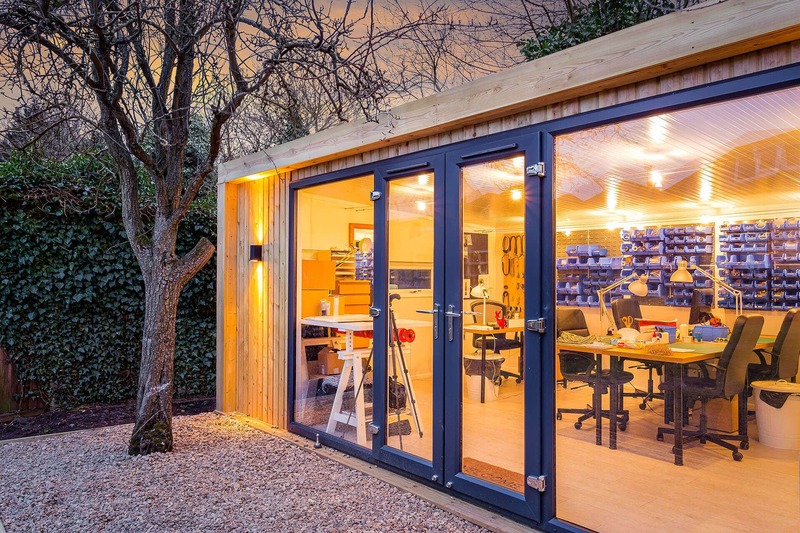 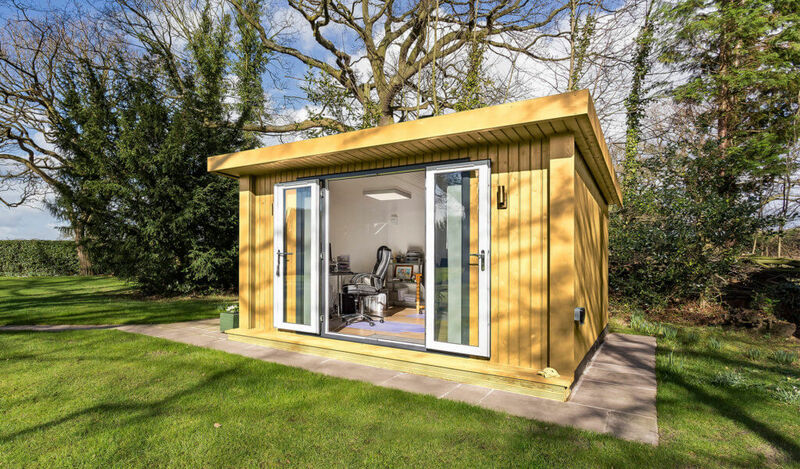 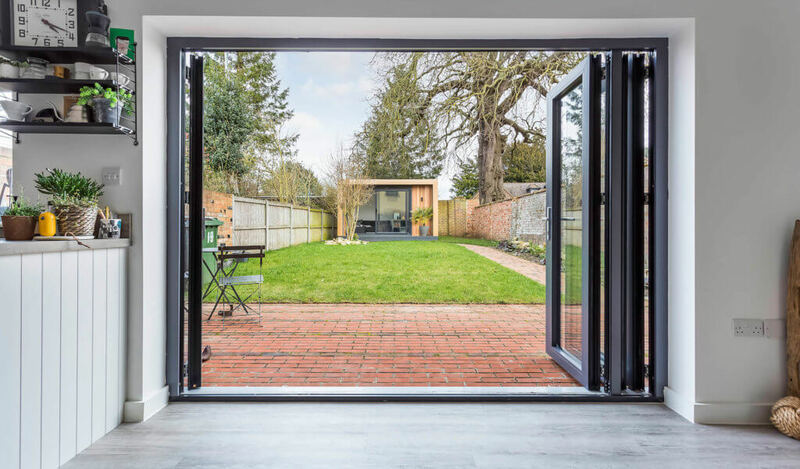 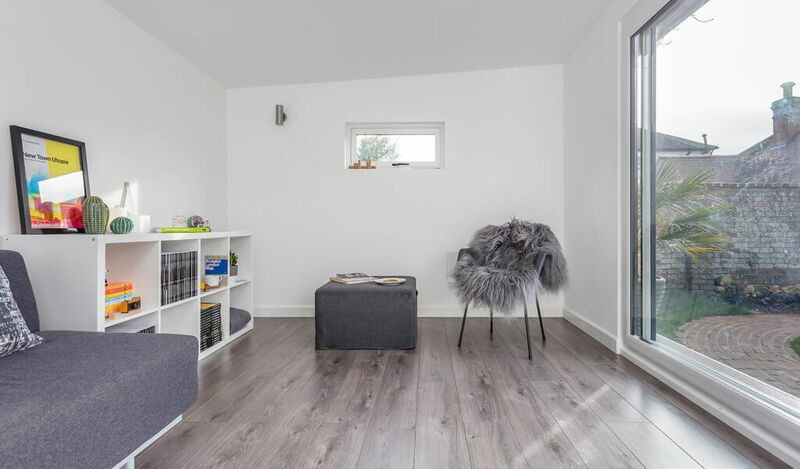 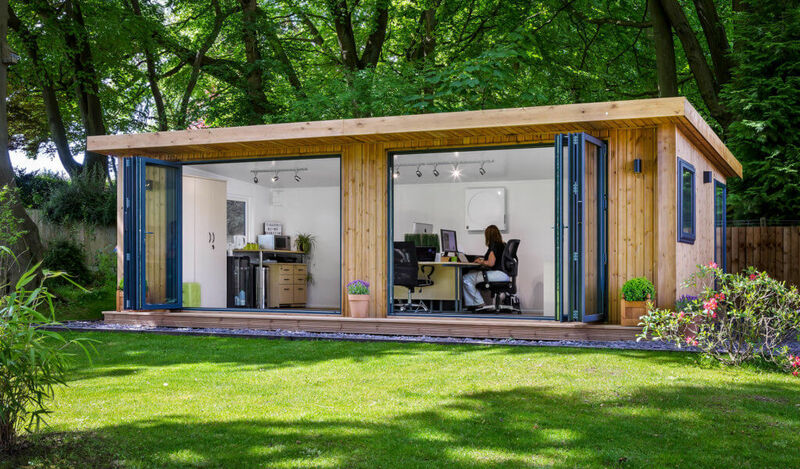 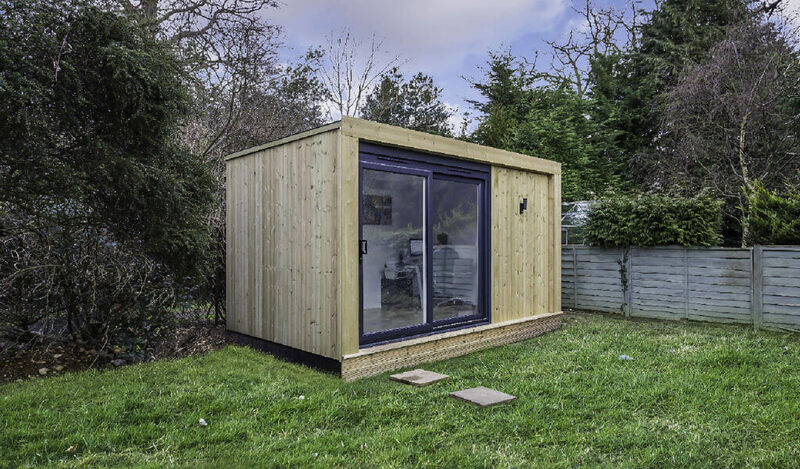 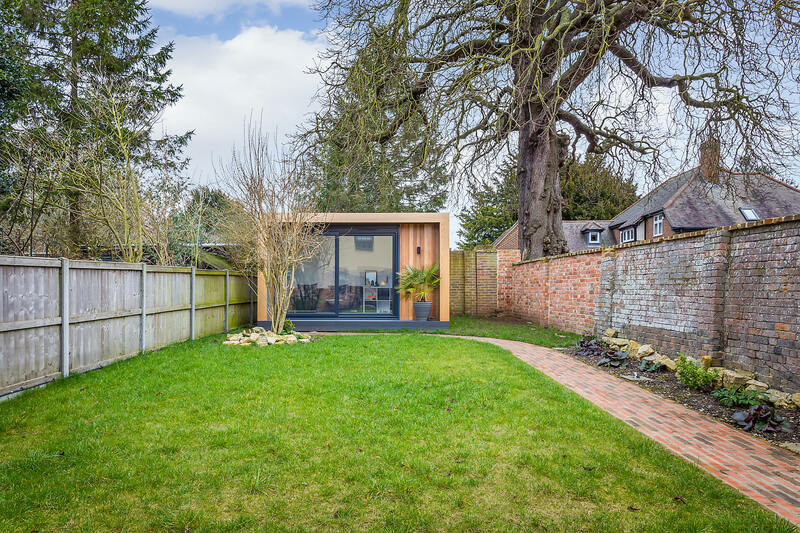 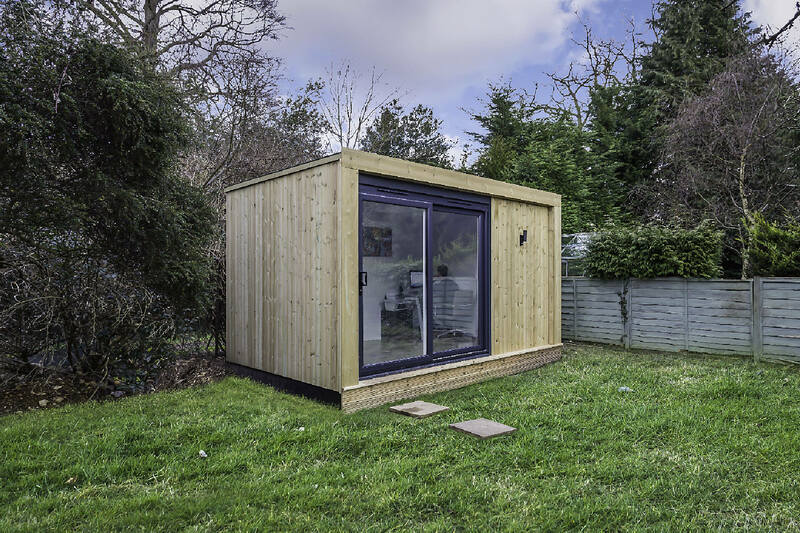 Our garden room case studies below and our immersive ideas gallery are a great place to start when looking at inspiration for your garden room project. 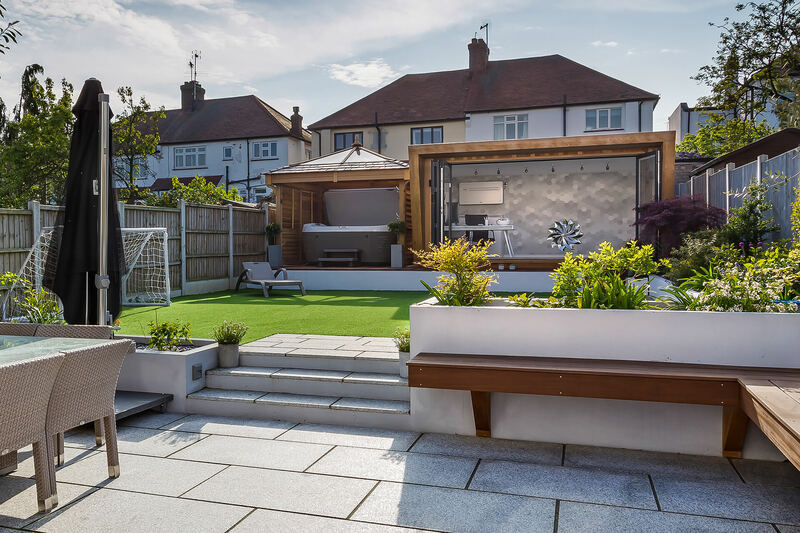 Once you have an idea of the size and style of garden you like, why not book a free site survey or start designing your own garden room using our 3D configurator. 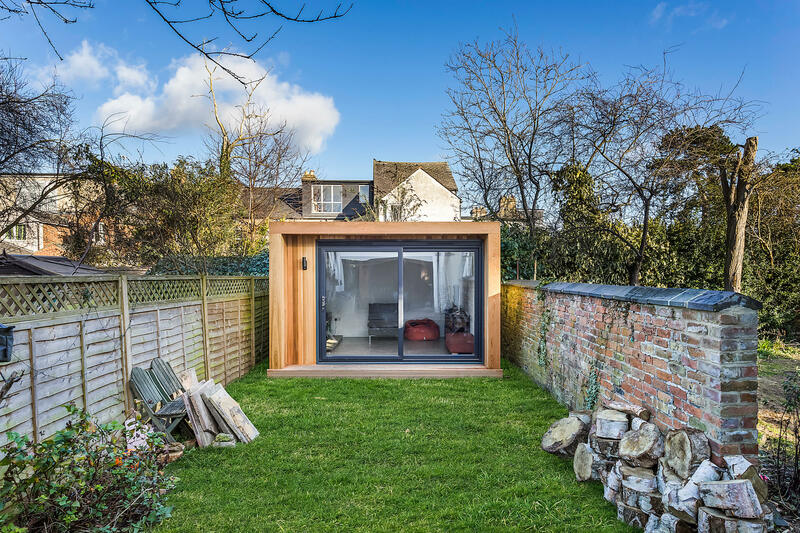 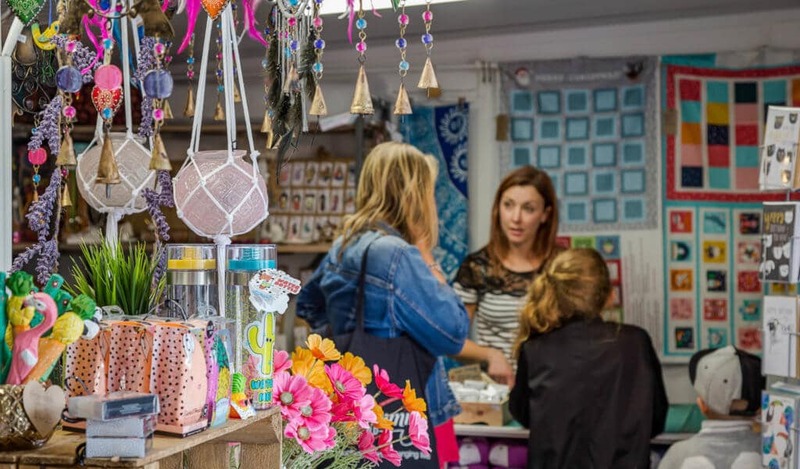 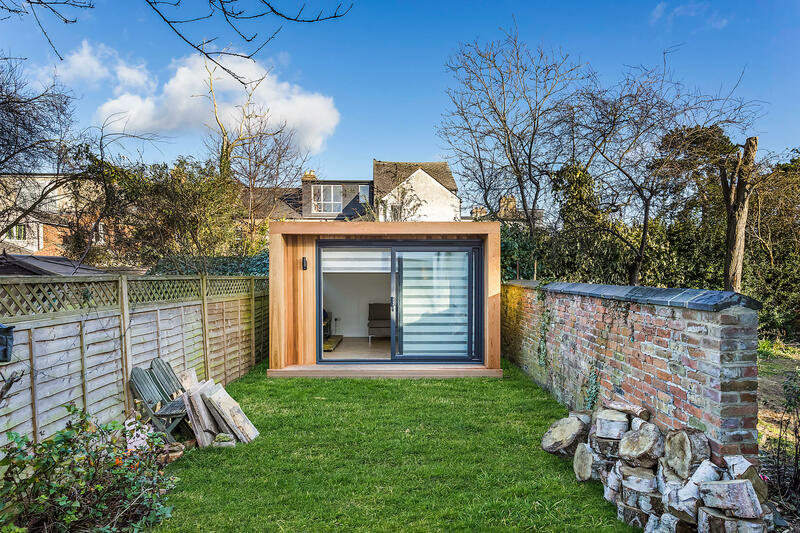 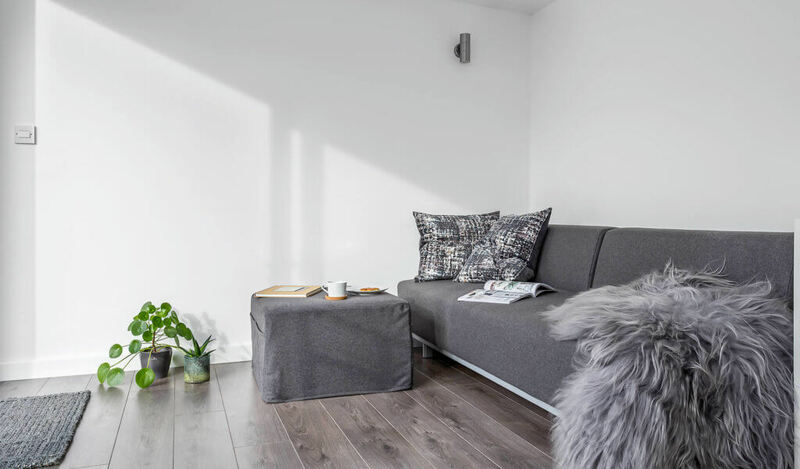 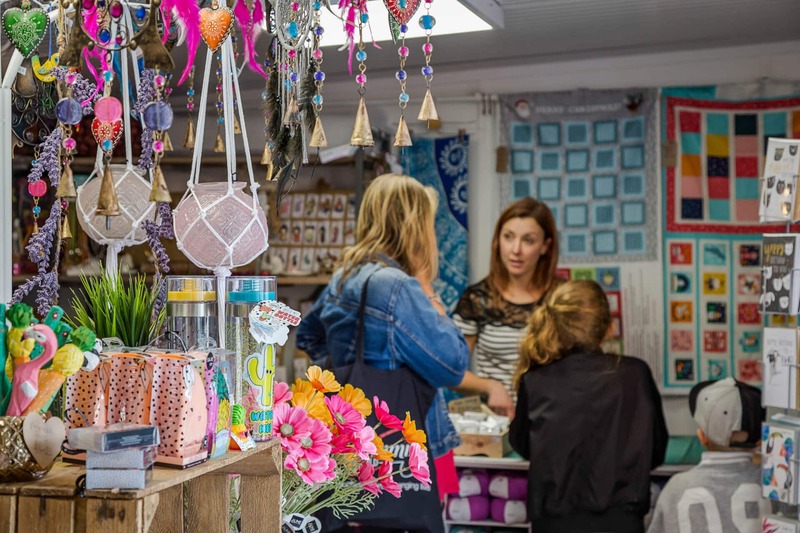 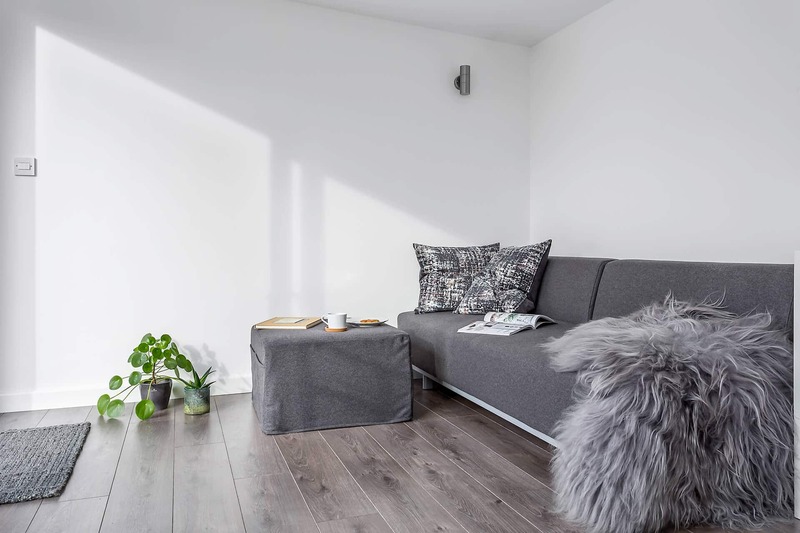 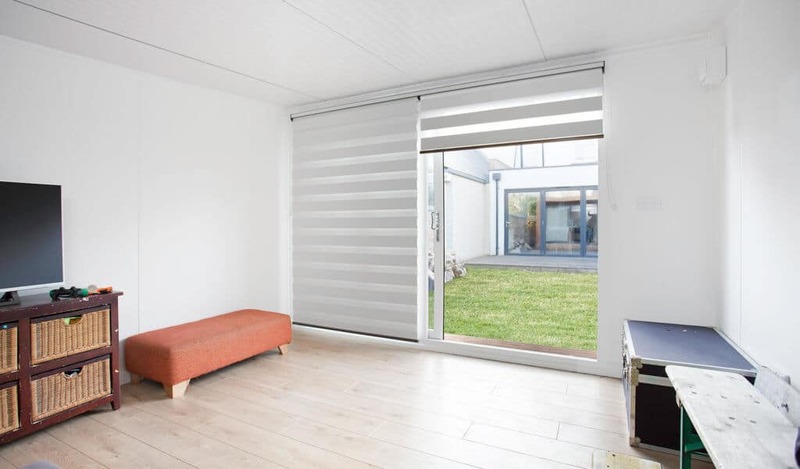 A garden room from The Green Retreats Group creates a contemporary retail space that is practical, beautiful and inexpensive. 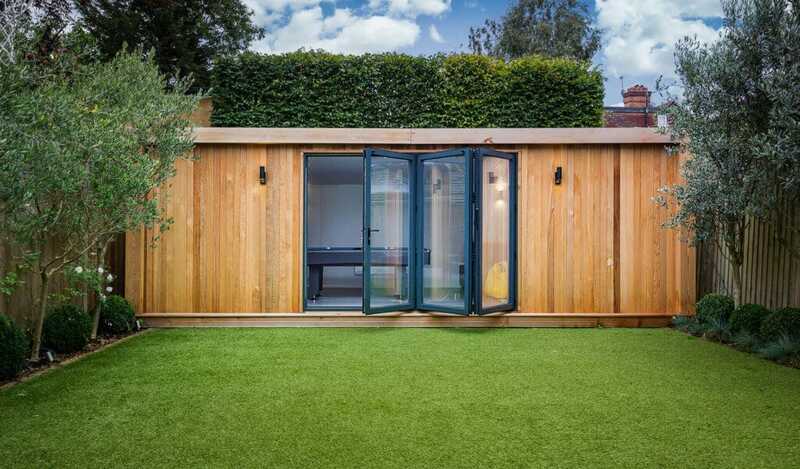 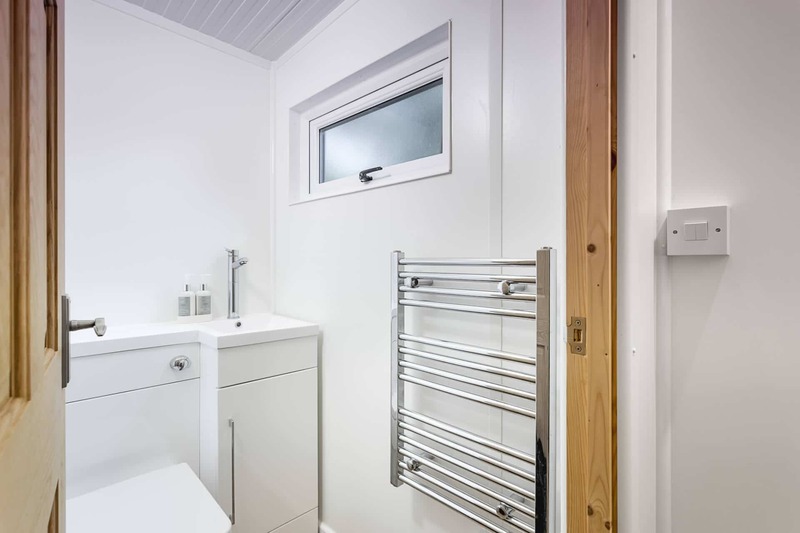 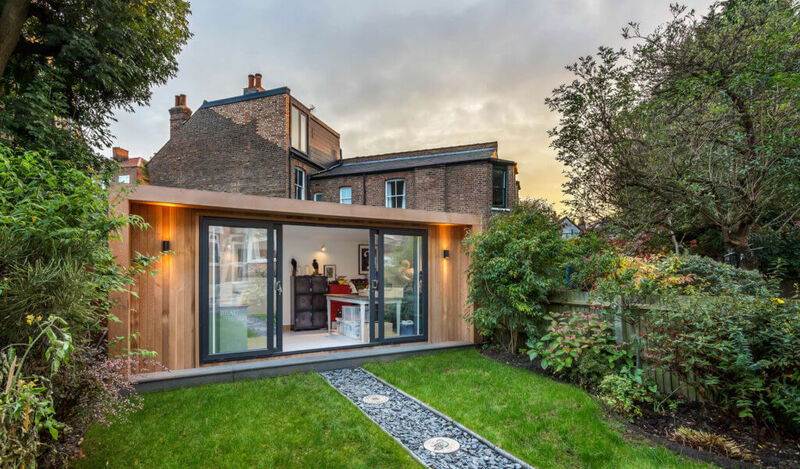 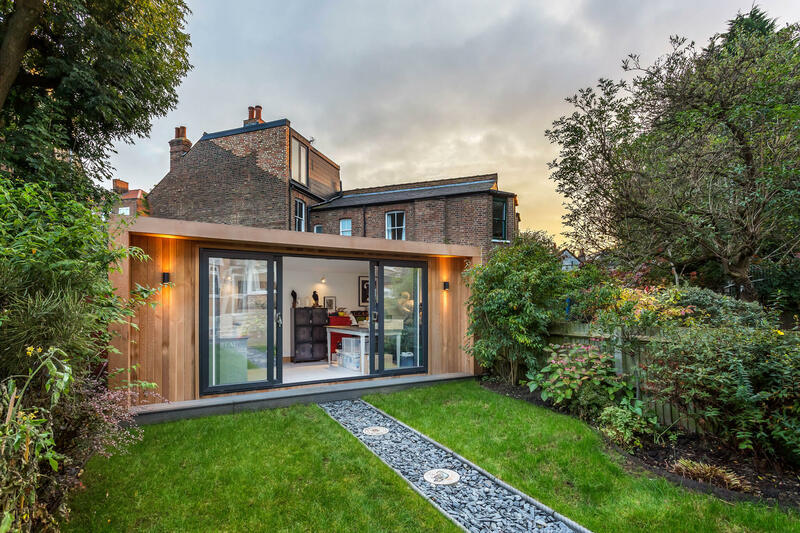 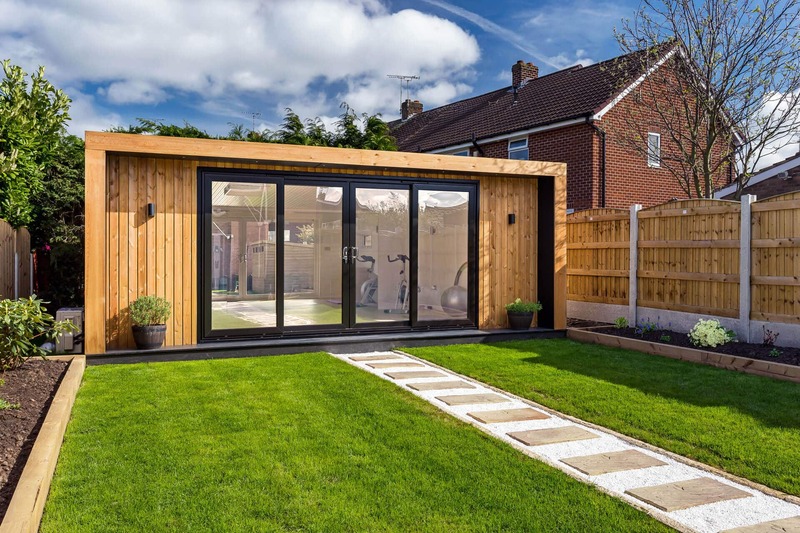 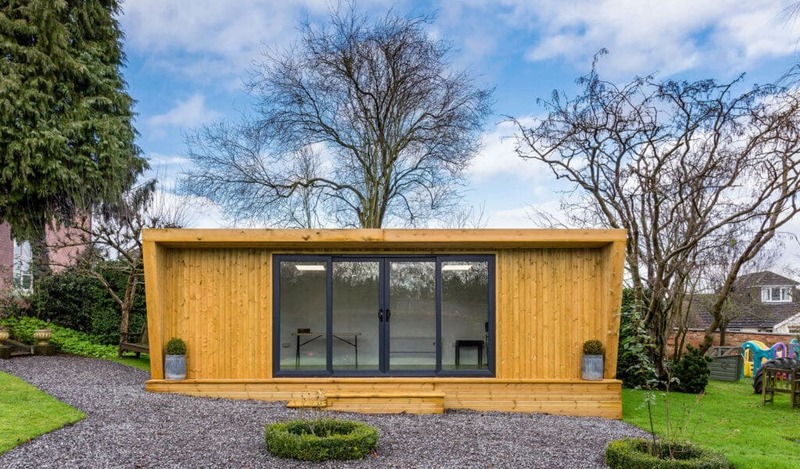 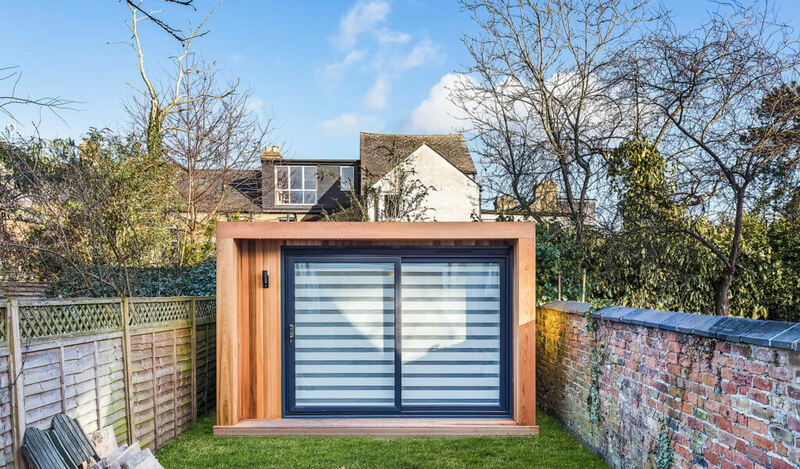 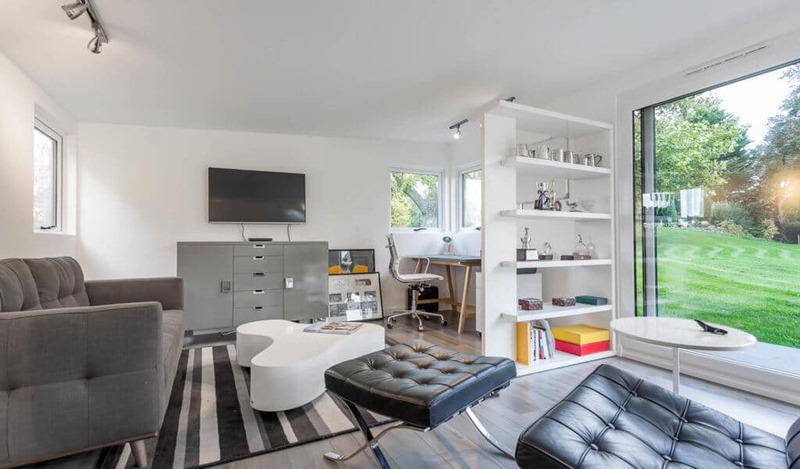 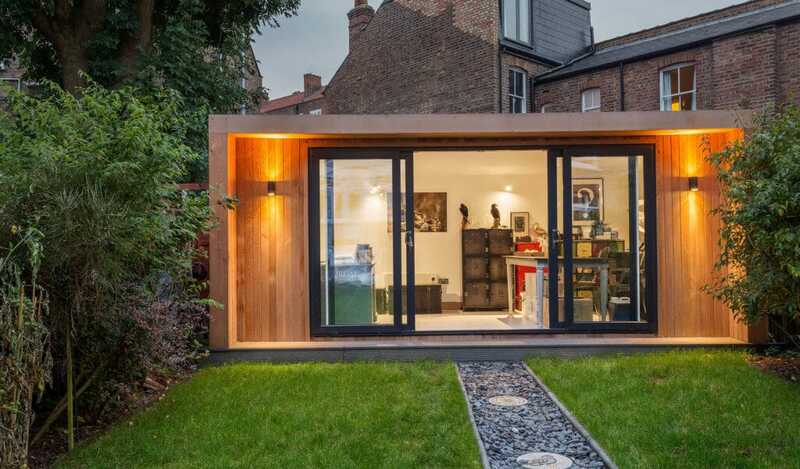 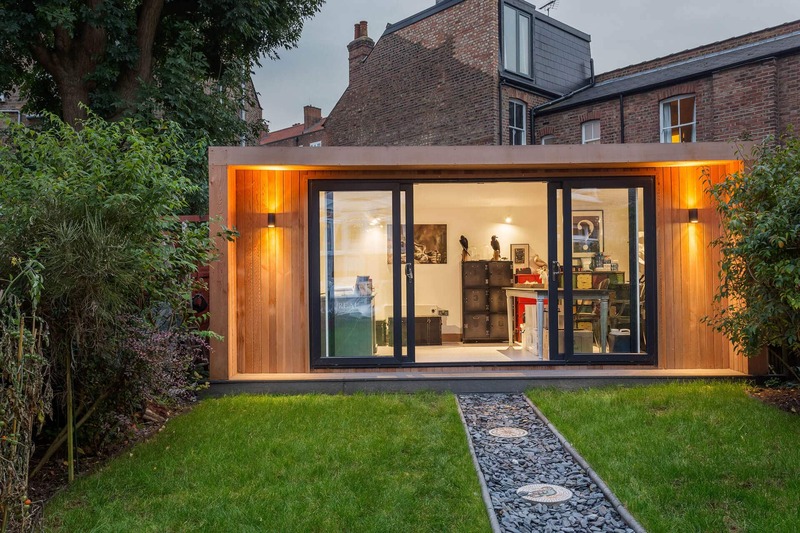 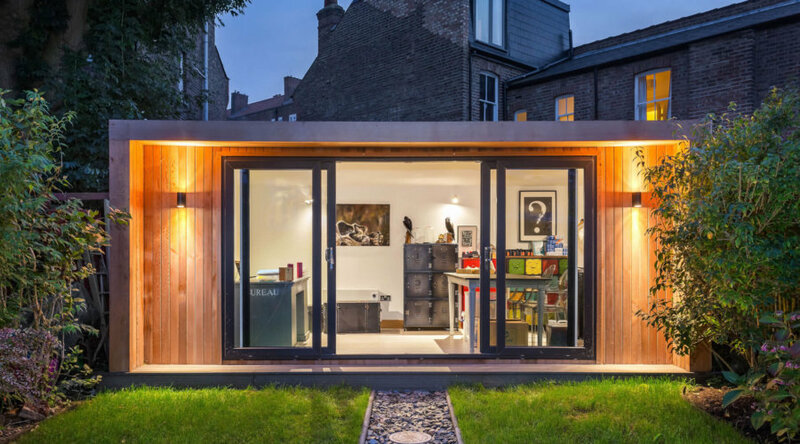 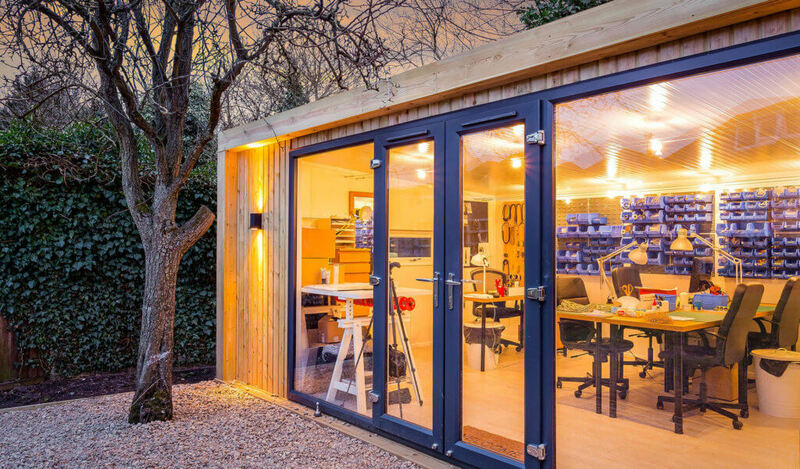 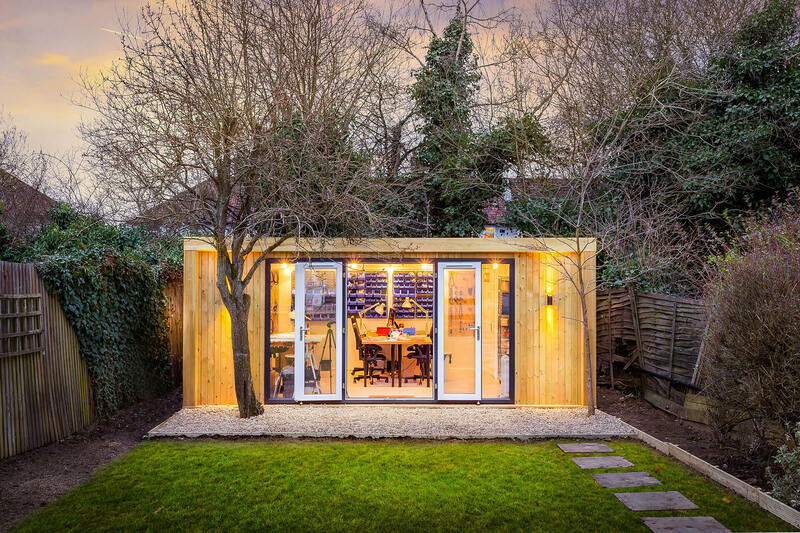 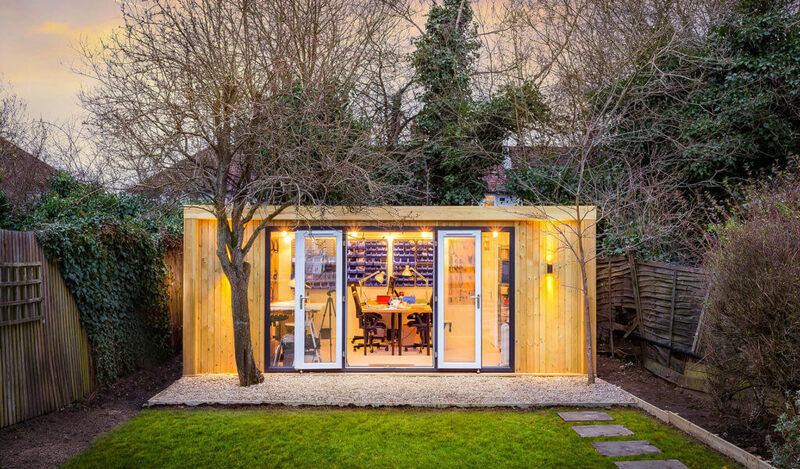 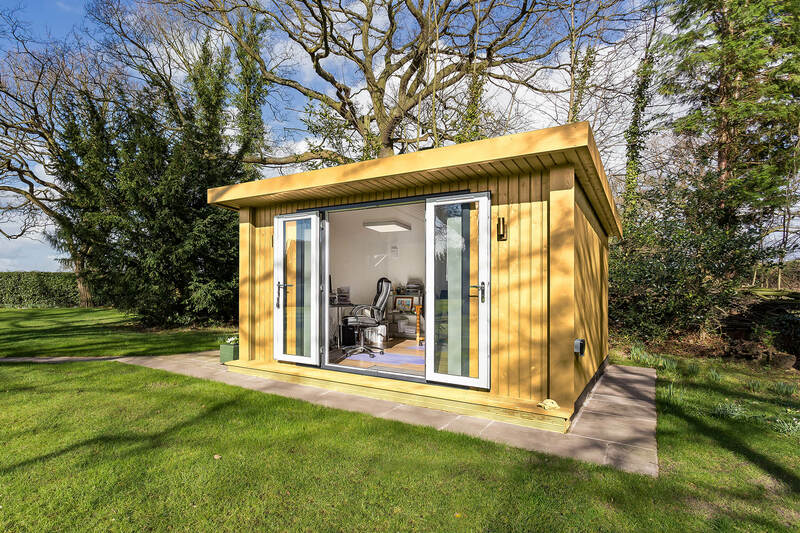 Our customer has cleverly placed lighting, windows and furniture to create a multi-purpose garden room. 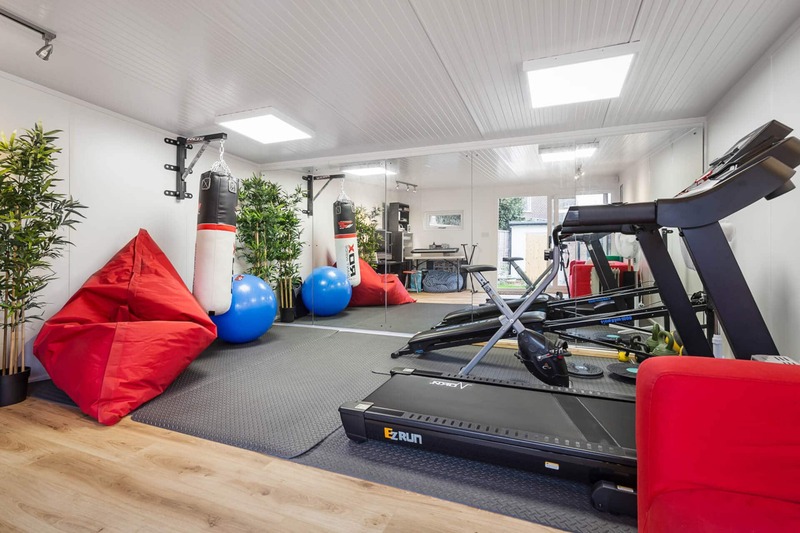 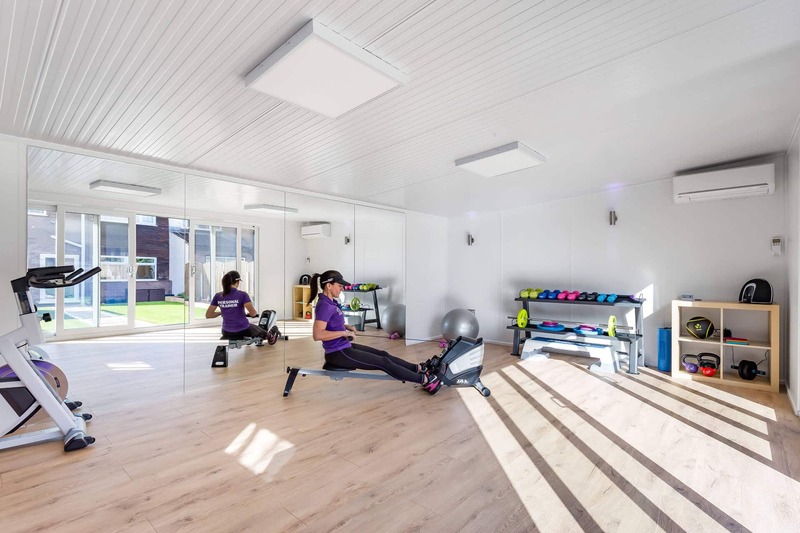 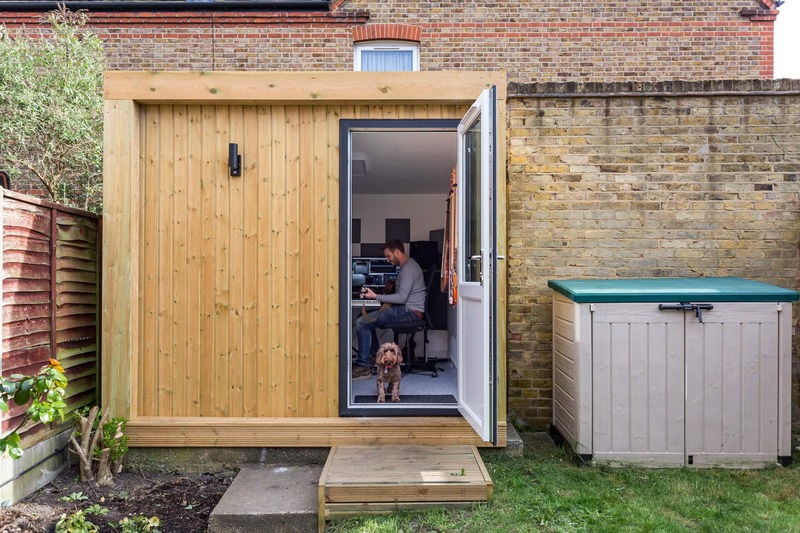 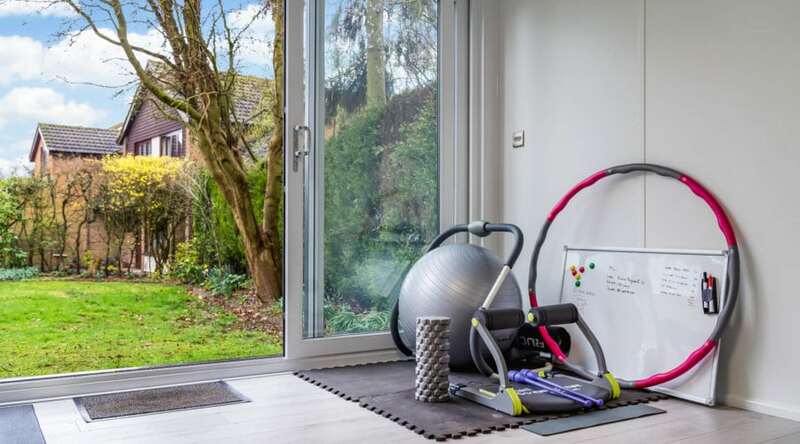 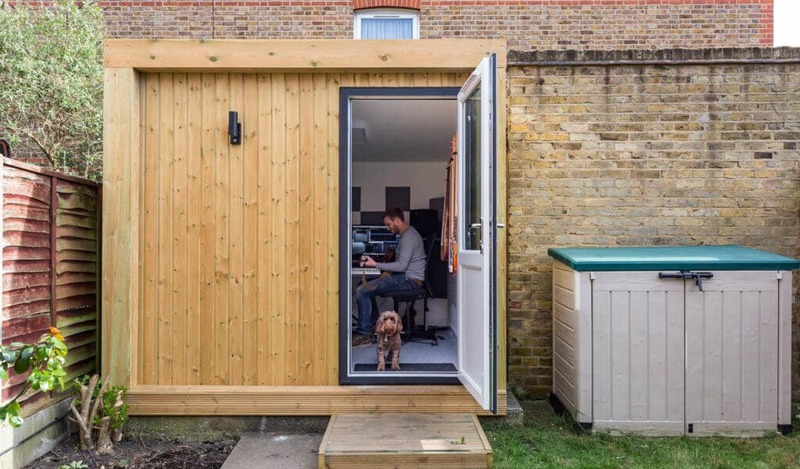 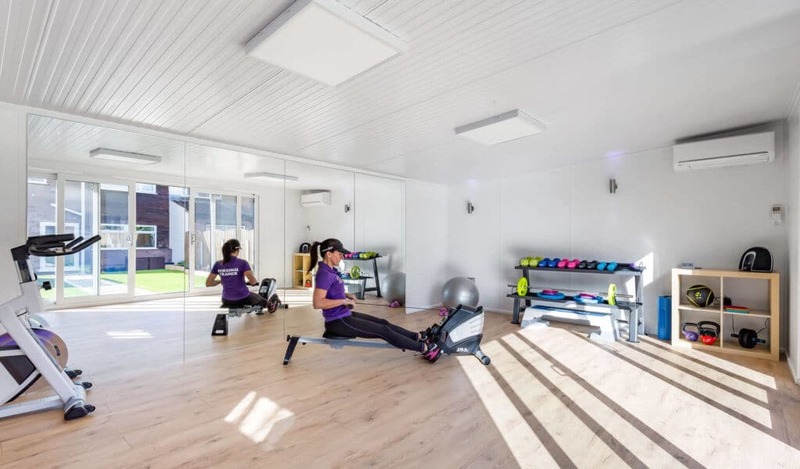 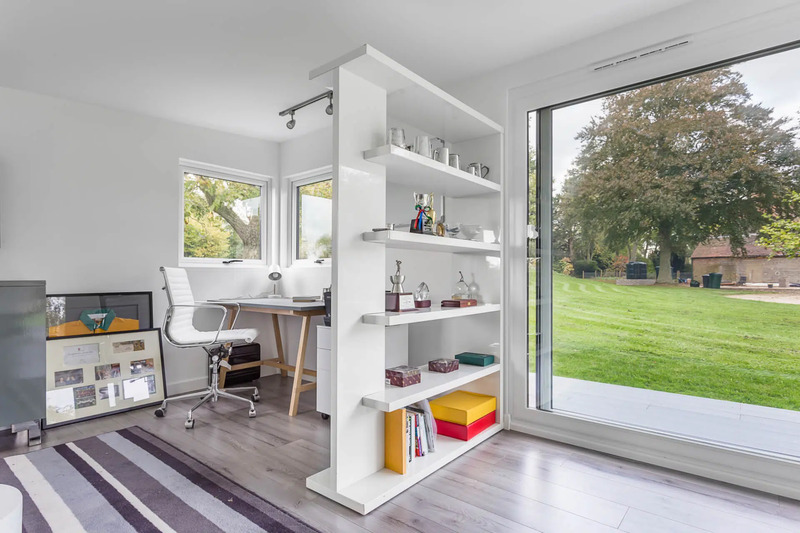 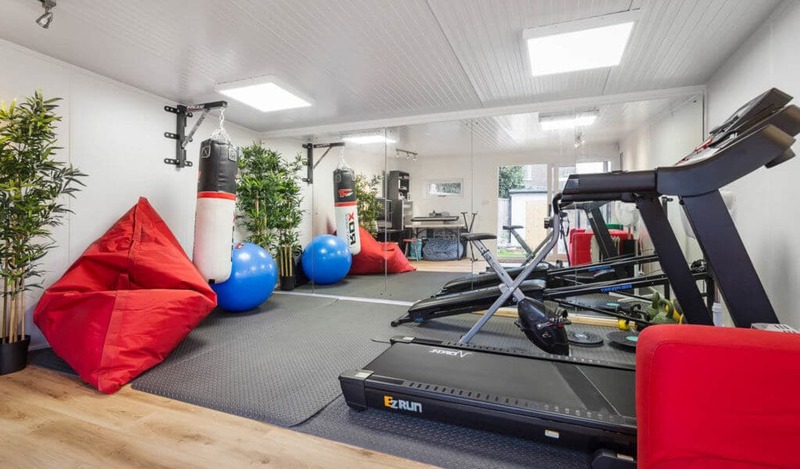 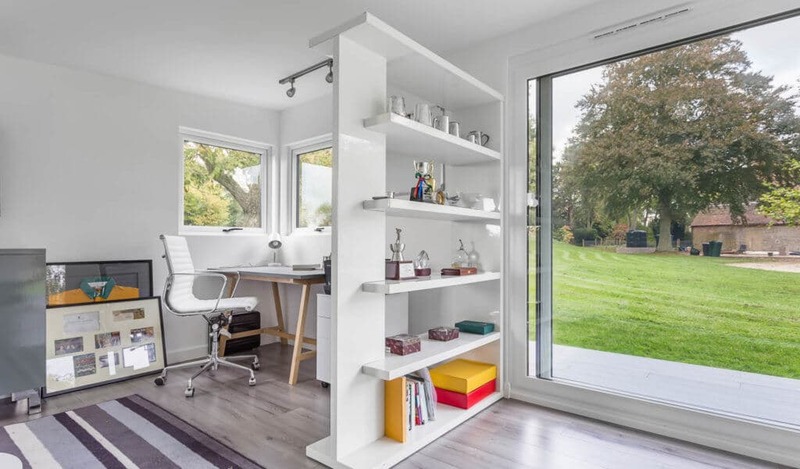 Shown here we have a garden gym and garden retreat combo; with a small garden office section tucked behind the partition shelving – genius!